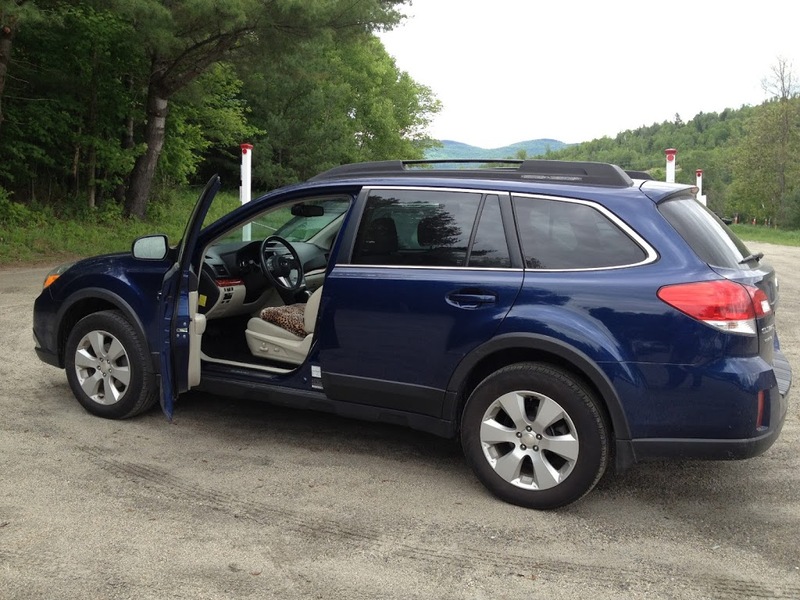 In 2013, after 20 years in New York City, I gave up my job and apartment, put all my possessions in storage, and bought a car. This is a compilation of my blog entries from that summer. I-91 in Vermont is one of the few interstate-system highways I enjoy driving. 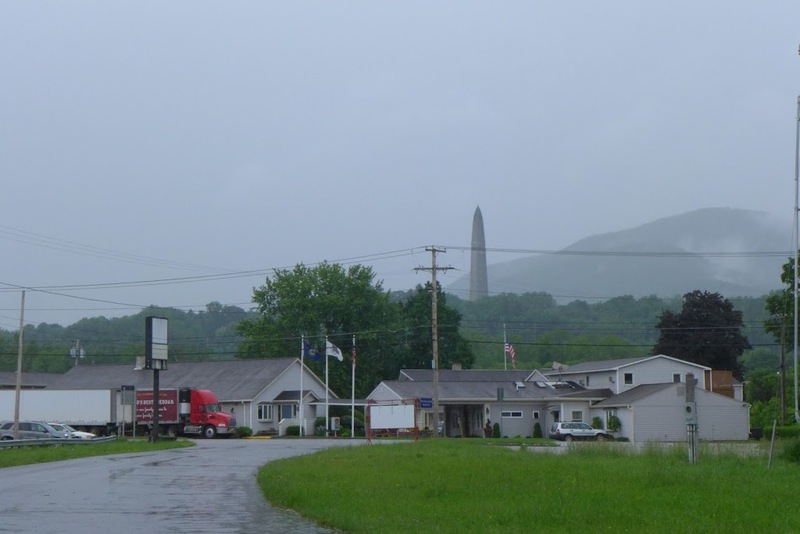 Goal is to get to Spencertown, NY in relaxed but efficient way, do laundry, recover energy from the program I coordinated – there were a lot of challenges, I’m quite exhausted. 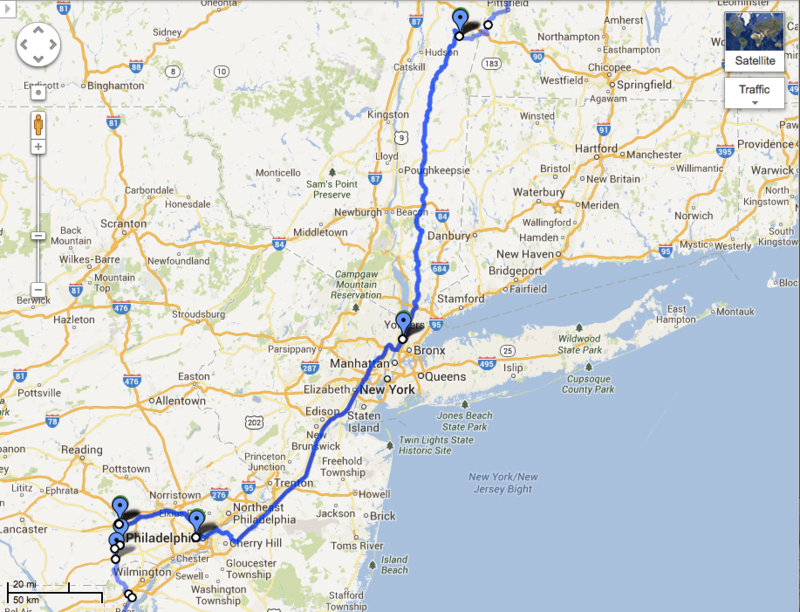 Then to embark on the itinerary I’ve been planning. Confirming places staying the next few days. I had this experience last few days while at KCL…people ask me where I’m from and I respond not from anywhere now. A few days later they ask me again to remind them where I’m from…at least 4 people had the same befuddlement. It’s a distinctive feeling to not be from somewhere, both for me and for the people I’m encountering. What does it mean to be from somewhere? What about to not be from anywhere? This quality of wanting to pin something down behind the question. Tring to know someone by where they are from and your associations with that place, or if you don’t know that place, that has its own feeling too. We’re always trying to figure out our world and who is who or what they are, but if you don’t have those reference points, how do you relate to people. Can you relate to them just as human beings? Feel who they are as you feel yourself to be? So there are conventional ways and I guess there are universal ways but we usually just rely on conventions of our native culture. Conventionally associating with a place, job, role, age, physical appearance, gender, particular group, teenagers, religion, political view. So I’ve taken away a handle that people can use to label me and so, I kind of think those labels are helpful to a degree. A person uses their previous experience to infer what you might be like – there is the curiosity aspect of I want to know you, and the small anxiety of your new-ness and uncertainty if you are a person they want to like. What it comes down to is it’s about orientation. This program I was coordinating was partly to learn a new way of teaching meditation that includes an aspect of becoming aware of feeling – what’s happening in your mind & body so you have some orientation to who you are, what your mind is like in that moment, and what aspects of your environment are an important element of that. It’s very much about orientation – having a clear view of where you are, what is reality, and what you are in that reality – how you are “being”. What I’m doing with my life now is re-orientation. There’s a feeling of being a compass needle floating on the face trying to find magnetic north. I’ve left my job, left my home, and am embarking on something. I will be putting myself into a constant transition…the transition of going from place to place and trying to not become scattered but instead more focused. I know it’s possible or I wouldn’t have had the insistent intuition that this is what I wanted to do. But that’s just the first part of what I’m trying to do. The first part is stepping away from everything thats been stable for me the last several years, but to tour. From stasis to movement. And then I’m expecting to land somewhere. 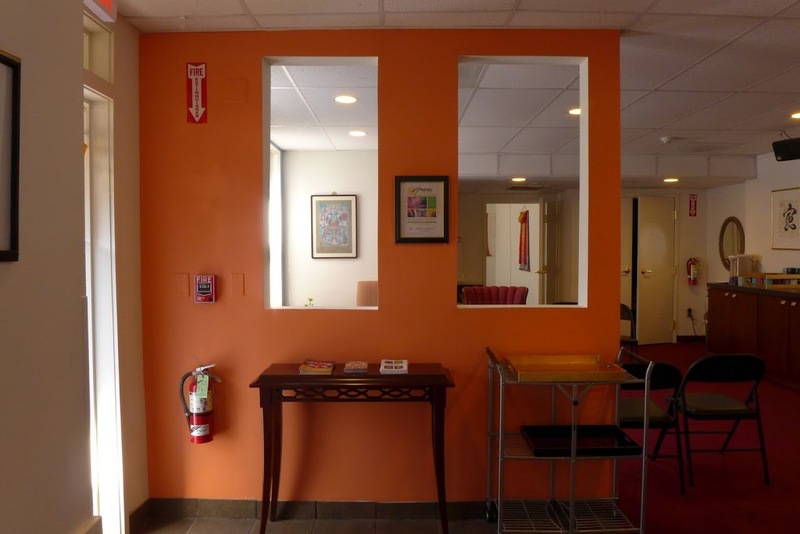 Idea is to land at Karme Choling, because when I’m there, all the feedback from the environment, from how feel there, to how people in my world interrelate says this is where you belong, should be next. Or just should be, and there is no next next, it’s just where I am at that point. Once that happens, there’s not a lot of stillness at KCL – on the one hand, it’s very quiet place relative to the city, nurturing environment ecologically, food, landscape culture. It’s a place where if you need to be someplace in solitude it’s possible to do that pretty easily. At the same time, it’s a place of great transience because you have people coming and going for programs all the time. Just when you get used to someone being around, they leave. Not like a university where people are around for 4-10 years. The longest program at KCL is a 3-month institute. The people living there, the background society, constantly have to work with phenomena arising and dissolving: programs and people, and the moody weather. It’s extremely powerful to learn how to work with that – for anyone. So I’m embarking on this series of free transitions, tastings, touring, to have no reference point but myself…and the car. Out of that I feel that something will arise that will be the magnetic north…and that will be the next phase of my life. On Rte 11 west through VT. A few nice villages and smaller ski resorts arise and pass with the attendant funky restaurants. A friend has a t-shirt that says “Keep Vermont Weird”. 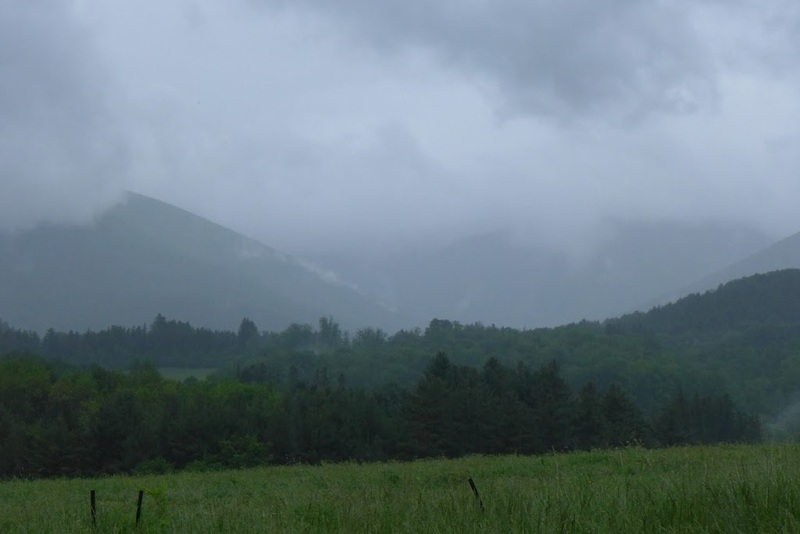 A nice week to be here – everything in bloom, huge 3′ tall ferns, all the grasses are flowering, their tops different colors in white, red, tan, in a meadow you see subtle swaths of color. Rhododendron and azaleas all a flower in lavender, burgundy, pink. Lupines in dark purple with a single pink or white. Earth appears to be bursting with life. Rte 11 starting in Chester parallels a branch of the Williams river that even after all this rain still looks low, a lot of rocks. But you can see sections where (near O’s road east of Tater Hill golf club for example) you see repaved where the river might have taken out the road during Irene. Mountains ahead capped in mist. 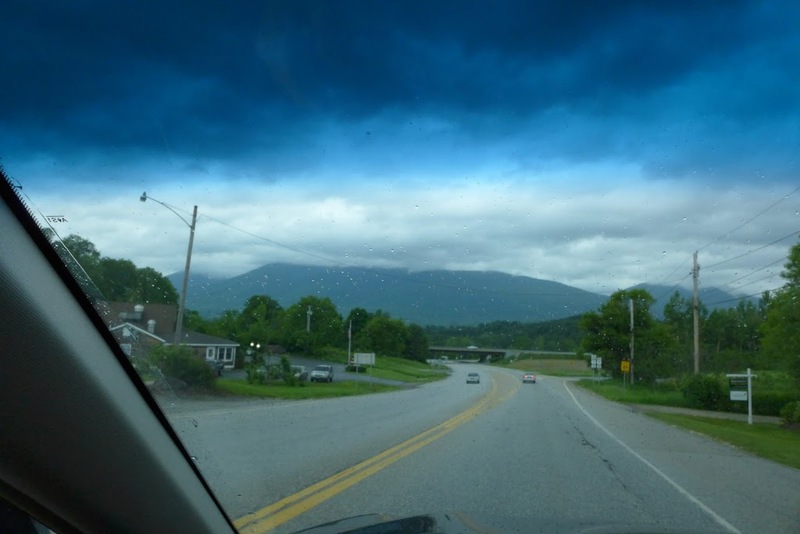 Rte 7 south of Williamstown, MA, view of Mt Greylock to the SE. 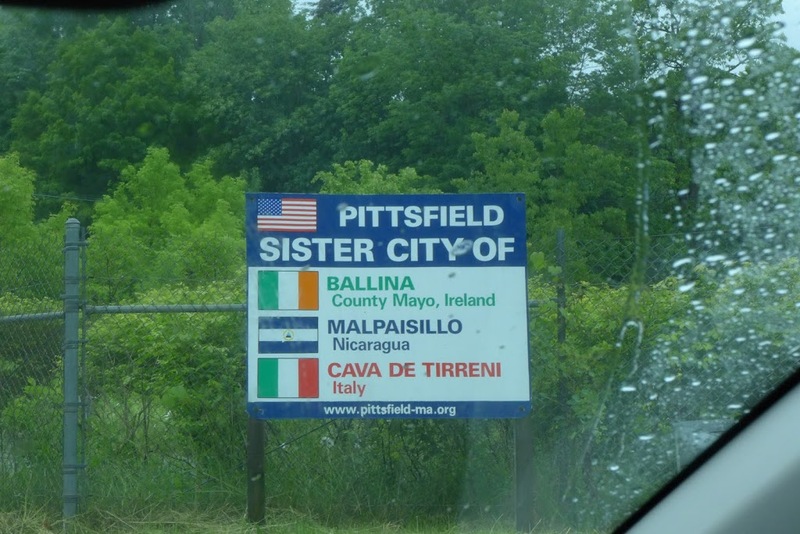 Entering Pittsfield on Rte 7. I made my way through Bennington and Pittsfield then jigged over the NY State border, a journey of almost 4 hours, just in time for dinner. My friend E’s home in Spencertown, a home away from home. Somewhere familiar for a couple days. June 12, 2013: Off from my friend’s house in Spencertown to Philadelphia via Riverdale. REI and the USPS conspired to make me get my new camping stove at my old Bronx apartment building. No point in grumbling, but given my late start I won’t be able to visit my grandparents old street in Trenton on this trip before heading to West Philly for dinner. The last two days I didn’t relax or recharge much at all, too busy just finishing up bookkeeping and paperwork and getting responses about places to stay and it was just endless and I can’t figure out why there was so much to do. It was maddening. Monday when I left KCL I had such a chatty day saying good bye and debriefing, didn’t step away for an hour to walk or meditate. Chatty when I got to spencertown because Irene was there and we were catching up. I didn’t practice… Minute I was up in the AM I was doing doing doing, calling people, running to chatham and the post office and back and forth to the back house, car, etc. I was up to 1:30am last night just figuring out the routes and how long it will take me to get place to place…since Kathy is taking days off to spend with me and needed an arrival time, which is impossible on a road trip. I finally sat and practiced today at 1:45 just before leaving. Felt essential and it cleared the irritation. In part of the practice I’m doing we place awareness on feeling. I saw the resistance I have to being put on a schedule, as well as driving into cities with a loaded car and parking it there. I don’t want to be constantly calculating my arrival dates from place to place. And I realize I am disinclined to spend any time in cities on this trip because I feel so encumbered with things I can’t afford to lose, I’ll be hyper-aware of where Jewel Song is parked when I’m not in her. I can see the Catskills from Rigor Hill Rd. It’s been raining and raining. Sun came out for about an hour. We’re chasing sun spots gliding along the Taconic as the clouds move across the sky. All the different colored grasses shimmering in the breeze and sunlight. Everything is radiant. Flat-bottom clouds ahead hanging over the Fishkill ridge. Love driving on days like today. 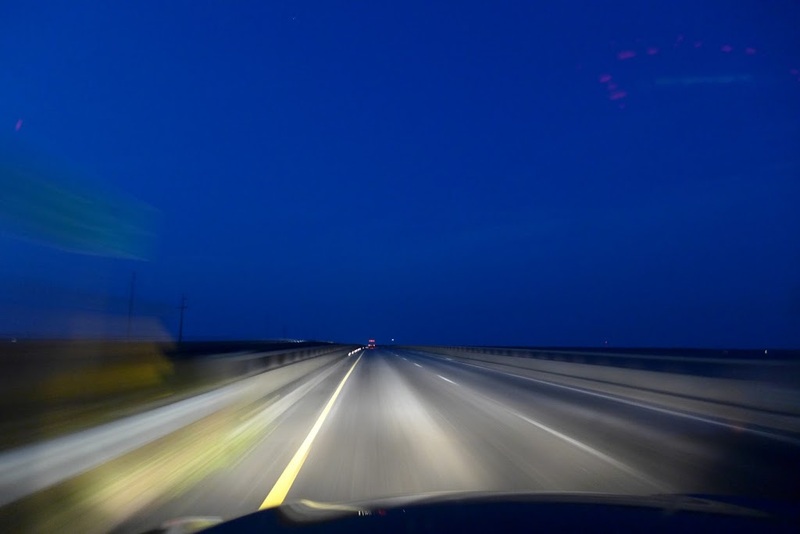 The car feels as if it flies through space. I can’t believe I’m actually on my way. Such a weird feeling to think I’m not going to be sleeping in a familiar bed for a long, long time. 11 weeks on the road. 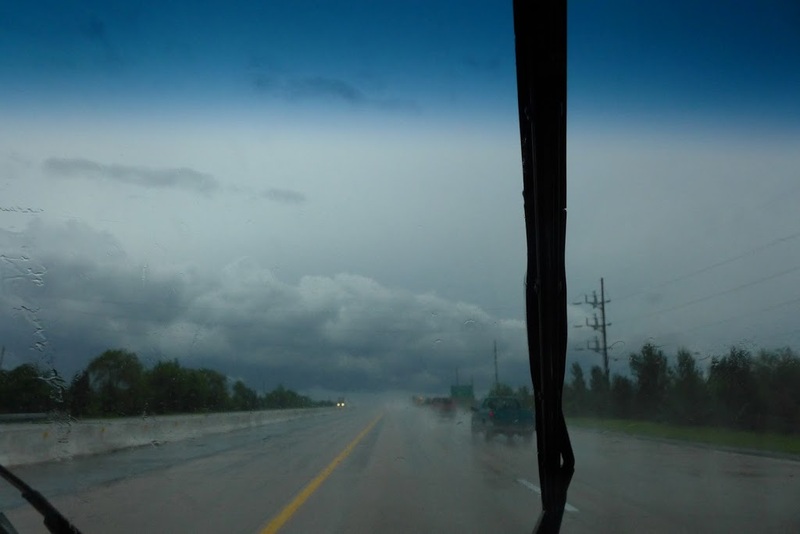 its exciting to be on the road, to be on my way to see new things, and people. 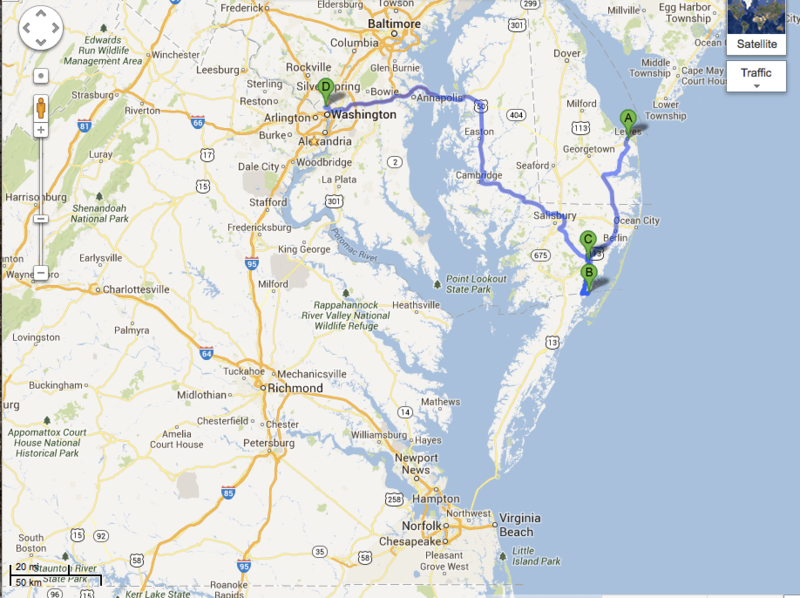 Except the city thing – not looking forward to that…I could have gone straight down the coast to Delaware …but I feel a tug not to miss old haunts and old friends. Remembering when I came back from Bangladesh in 2002 having had that unnerving experience feeling like the whole world I’d known in NY was just a figment of my imagination. It’s a feeling I haven’t had for a while. 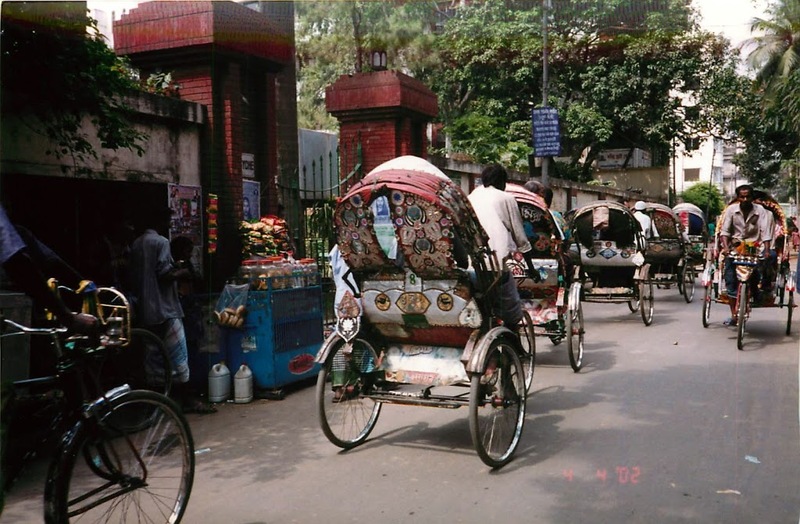 The contrast, the vividness of Dhaka was so impressive that you could feel nauseated, the severity of dis-connection is strong, so unfamiliar to a Westerner, you feel like you’ve landed on a different planet. And the distance covered to get there which seems to erase whatever might have existed where you were when you left. So when I left E’s house I actually took a picture when I was pulling out of the driveway. The next time I see that house will be at the end of August–I wonder if it’s still there, even now, 20 miles down the road. You’re only really able to know what’s right in front of you, the present. June 14, 2013: I arrived late to my Aunt’s apartment in Downingtown last night. My family has been in the Downingtown area going back to the mid-1600’s. Dowlin Forge on the Brandywine river just north of the borough was the place, Dowlins/Devlins/O’Devlins being my ancestors from Scotland, sometimes from Ireland – they went back and forth. My Aunt is a font of family history on the Jenkins side. She and my dad grew up in the house on the hill overlooking the forge, and until a few years ago the 1760’s caretakers house down the hill was the home for her and my uncle and cousins. 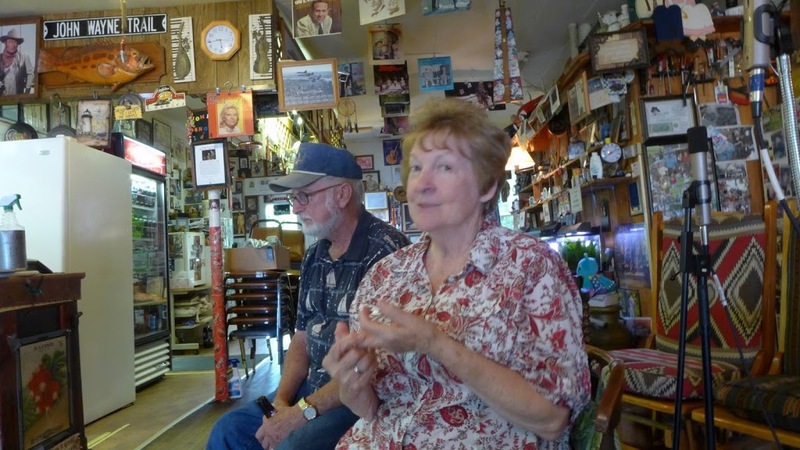 I did a photo essay before she sold it to preserve the decades of memories we have there. My Aunt is my only remaining relative of my parents generation. She was a strong influence on me as a child through her colorful stories of the family history and her deep appreciation of social manners and propriety. Her encouragement and support have been an anchor in the difficult times of the past few years. 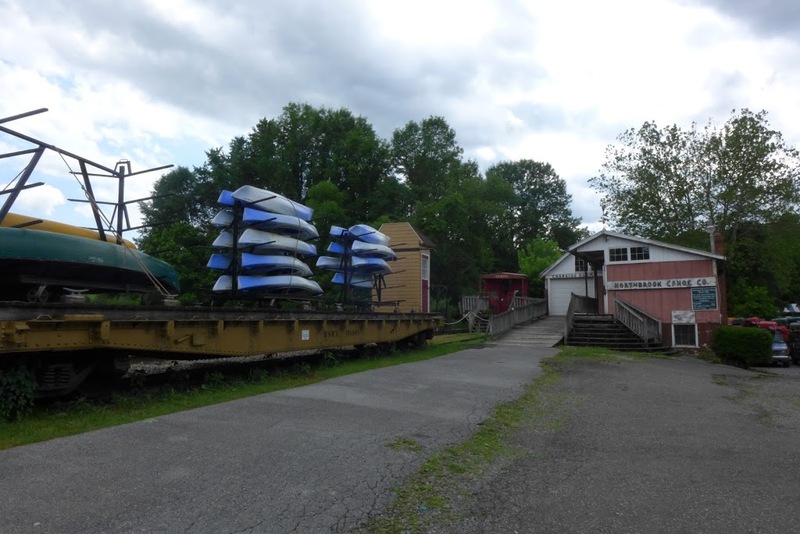 Northbrook Canoe Co. on the Western branch of the Brandywine River in SE Pennsylvania. 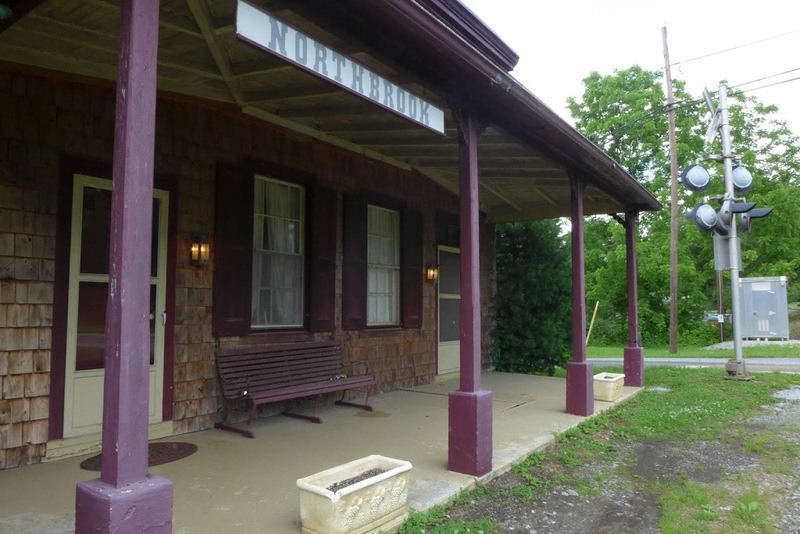 Northbrook Canoe occupies an old rail station. 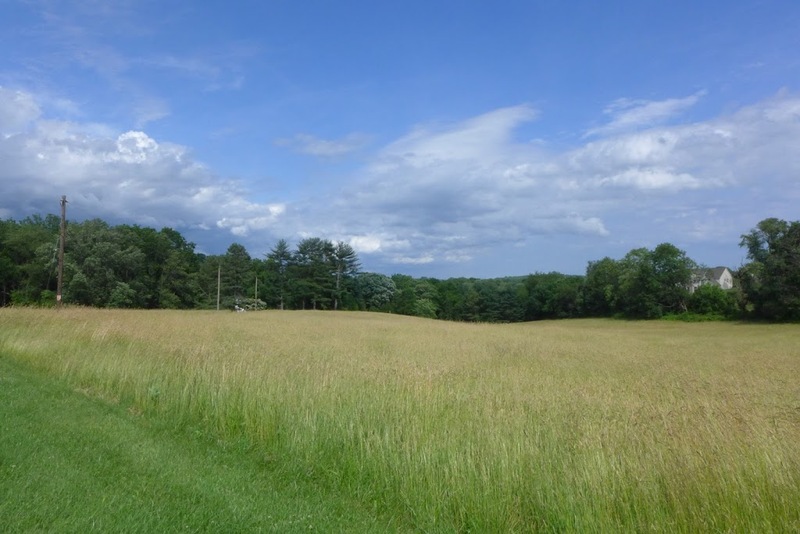 This afternoon from Downingtown I took 322 to Sugars Bridge road to Northbrook road, a winding series around the Brandywine riverways shaded by trees and revealing one after another bucolic scene of country life and gentleman farms. Around a bend I ran smack into the Northbrook Canoe Co.; I’d completely forgotten where it was but I had a picture with high school friends there in 1984 when on a hot summer day I dragged them along for a canoe trip. There are many more buildings than I remember, old wood, and a railroad with old station/house. I walked around. The place seemed open but devoid of people, until I found the office in the middle of the compound. According to Zane in a green polo shirt and baseball cap, Northbrook has been there 37 years…I realize that I’m older than this “old” place. It would have opened when I was 8. Nothing appears to have changed – I still have the original brochure from 1984 and it contains the same illustrations. It’s such a beautiful drive on these roads through a very lovely part of PA, lots of farms, one-intersection hamlets, and old stone houses. 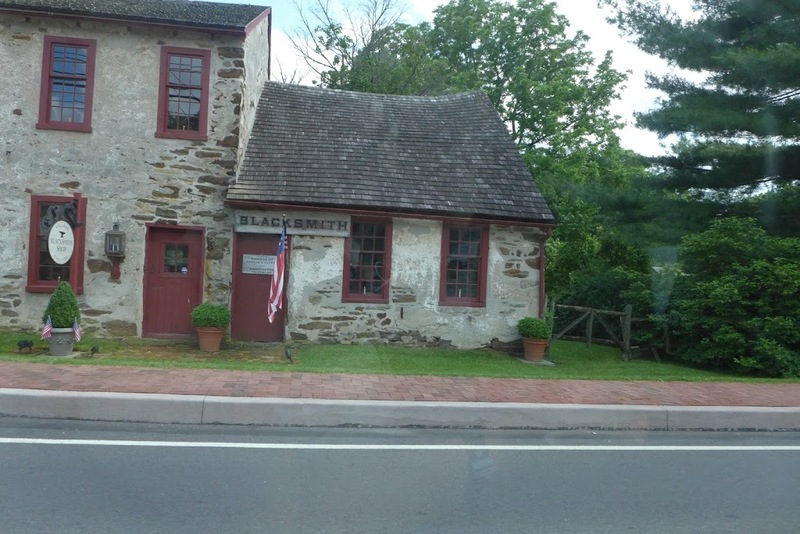 I headed south through Kennett Square on PA82. Haven’t been through here in 30 years. A brick Victorian burg with a main street, modestly maintained victorian brick row houses with wood porches. Before he died, my cousin Jimmy managed one of the mushroom farms here that Kennett Square is famous for. I’ve always appreciated the flavor and charm of these eastern PA towns – Downingtown has a mix of the same – colonial & victorian housing with some run down 19c industrial spaces. Easton, PA is another example, where Jewel Song came from after the Japanese built her. It would be neat to do a photo essay on these places. One of the other significant features of eastern PA is its stone houses dating from colonial times – you can’t drive a mile in any direction without seeing one, mined from the region’s past as a present-day home or business, or left as decrepit monuments to the ghosts of past lives long forgotten. The stone is Wissahickon schist, culled from the valley of the river that bears the same name. 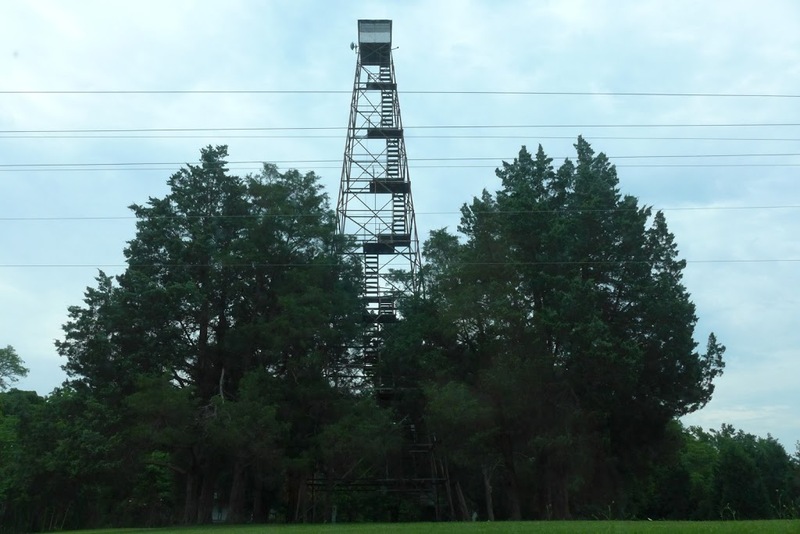 Some (LINK) have written widely on the use of this material and how unique the area is because of it – nowhere else I’ve been in the Northeast has such a prevalence. 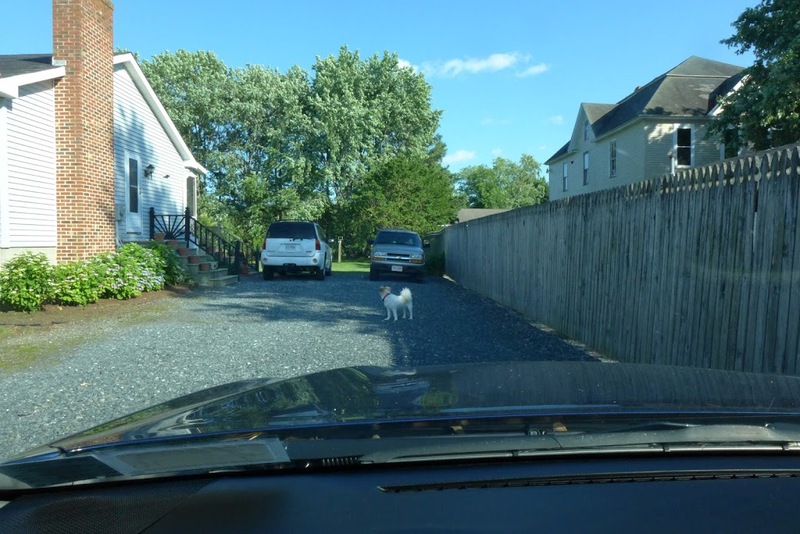 Alas, I realize I can’t make it to Ridley Park and the Swarthmore Ave house where Mom lived during High School – too far east and I want to arrive in Cape Henlopen before storms hit or it’s too dark to cook. Nonetheless, I later find myself in a pounding rain and flash-floody storm at 5:31pm. On Deleware route 1, people are heading home from work. Going 40 MPH with flashers on, three miles north of Smyrna DE. DE1 is not an unpleasant roadway although it is multi-lane. There is an astonishing amount of water pouring out of the sky. Jewel Song’s wipers are keeping up, her AWD is moving us along sturdily. I arrived in Cape Henlopen as the storm was clearing and attempted to register for a campsite. I’d called earlier in the day to see if I needed a reservation and was told they had plenty of spots, since it was a Thursday night. I could have gone online and reserved a spot with Delaware’s sophisticated parks web site, but threw caution to the wind to be more like the aimless wanderer I wanted to be. Mistake, for the registration agent was having trouble with his computer when I got there. Computerized campgrounds have arrived and it’s a complicated scene. After an hour of going back and forth looking for sites with no yellow reservation tag on them, while looking also online to see what was stil available on the web site, a very hungry and annoyed Susan finally parked in a spot and set about her first night of camping in several years. Unwrapping the stove rescued from Riverdale I hooked it up and began assembling dinner. About 9:00pm as I was putting the finishing touches on a few sausages and green beans, a large, loud family with many pre-adolescent children who liked hollering stadium chants and hip-hop lines to each other pulled in two rows over. The campsites are very close together at CHSP so there was no missing these folks for any of the rest of us. I felt myself stiffen up at the prospect of going to say something to them – after all, it’s a family campground, and I’m just a solo weirdo making gourmet sausages and haricots vert, who’s going to sleep in her padded car rather than set up a tent on the wet sand for one night. I decided they would probably quiet down after a while and I would sleep peacefully, if not eat peacefully. This was the case. The next day was supposed to be dry and sunny, but I awoke at 6:00 to windy rain. Instead of the lovely walk to the beach through the dunes followed by a short swim, I contemplated just throwing on some clothes, hitting the bathroom, and driving into town with a bead on a good cafe. It was a shame to be in this beautiful place and not at least take a walk. 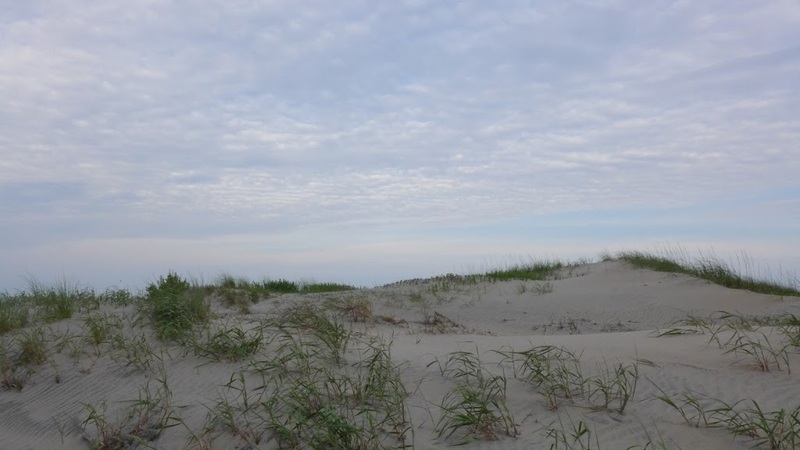 I dressed quickly and donned my parka, swung by the bathroom for morning ablutions, and then proceeded towards the sandy trail from the campsite that leads to the dunes. A few sullen campers in hoodies and pj’s drifted past. On the path was an old lookout tower from WW2. 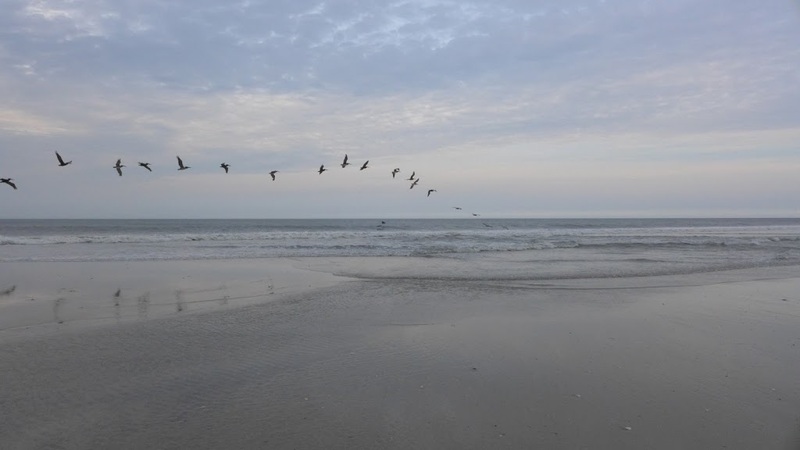 The Delaware shore is dotted with them, particularly Henlopen and it’s NJ sister Cape May, which protect the harbor that leads to the Delaware river and Philadelphia. 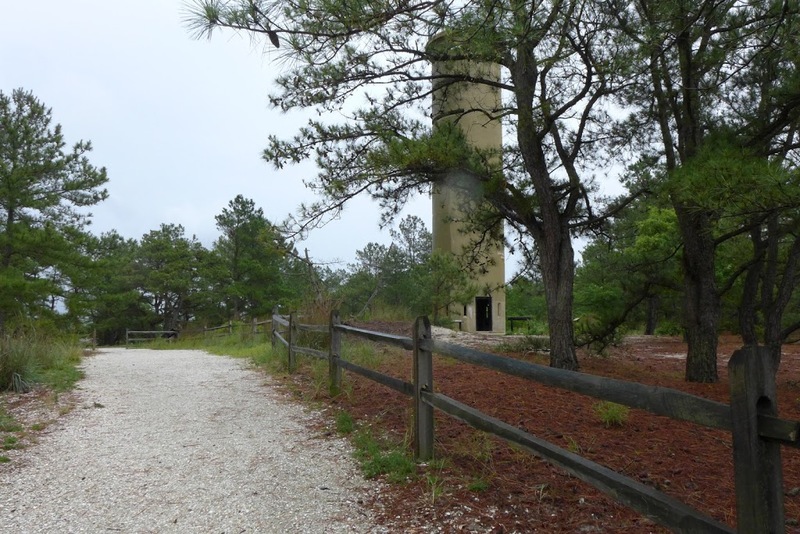 Henlopen was the site of Fort Mill, a small base that is now part of the park and used by group youth camps, such as the one lead by my teachers from General Wayne Junior High every year for 7th graders. It was a highlight of my 2 years there, which were otherwise torturous in the way Jr. High usually is. I came upon Tower 7, which is the only one open to the public, and ascended. 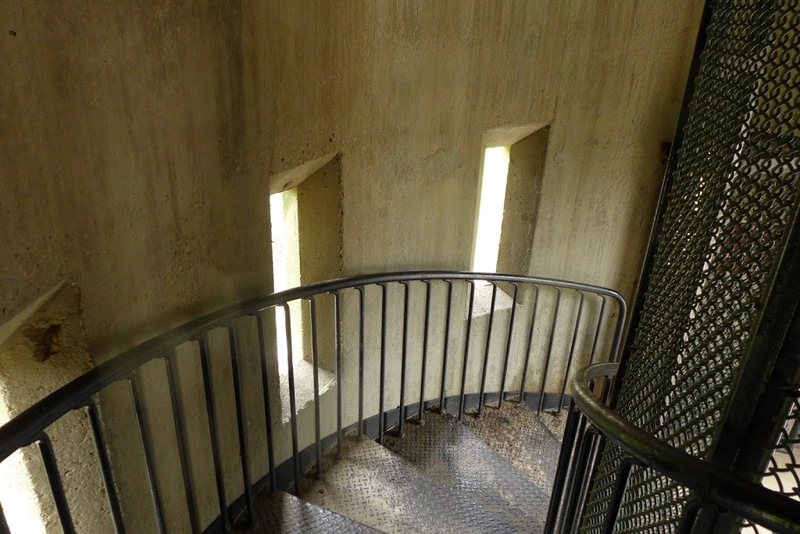 The wind whirled through the small slits in the side of the concrete and echoed off the metal staircase, making a whuh-whuh-whuh sound that was intriguing and haunting. The hills of the park and cape slowly came into view as I reached each level until I was at the wet, windy top. The ocean was churning a mile from my vantage, and the Cape and Lewes barely visible. It also appeared to be quite a long way to the beach; as I was becoming miserably chilly and wet, I decided this would be my tour of the park and a cafe was calling. I stopped at the campground office to pay for the night, since they had not collected from me during the debacle of the previous night – but no one was there. The shade was drawn. It was 8:30. I drove off to town, not willing to endure more hassle, feeling guilty. 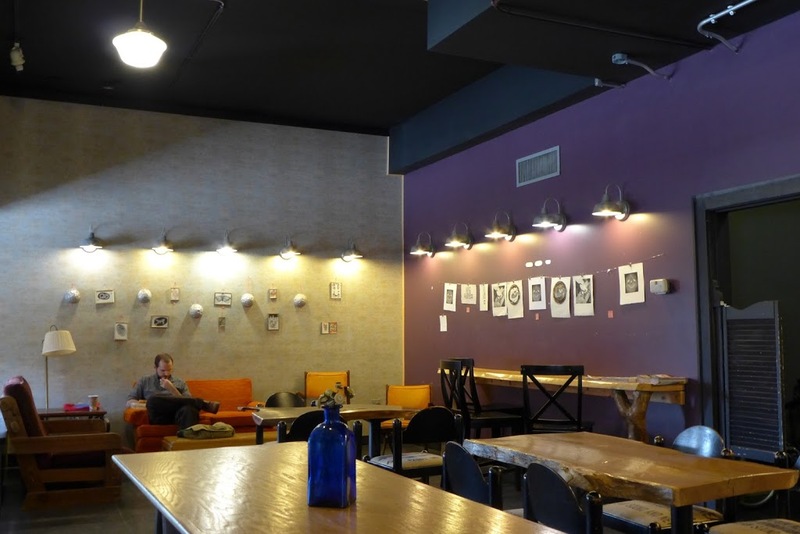 I discovered Cafe Azafran, which was the perfect home to wait out the rain and catch up on photo downloads and journal entries. 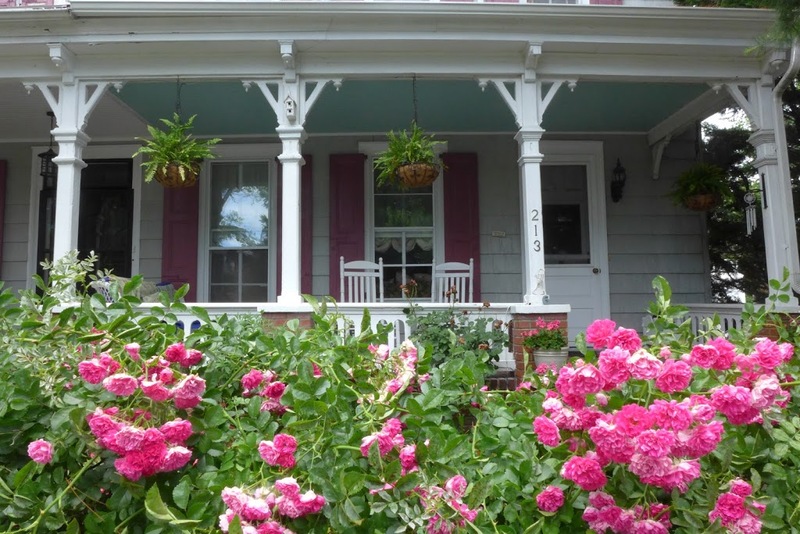 Lewes is a cheerful, charming place with a small-town feel – lots of colorfully painted, nicely maintained houses downtown; thoughtful parks, a light tourist scene. It calls itself “The First City in the First State,” referring to it’s first settlement date of 1631 when the Dutch first established there. Lewes was tossed back and forth between the Dutch and Lenni Lenape, followed by the British, until finally settled more or less permanently by the British in the late 1670’s. 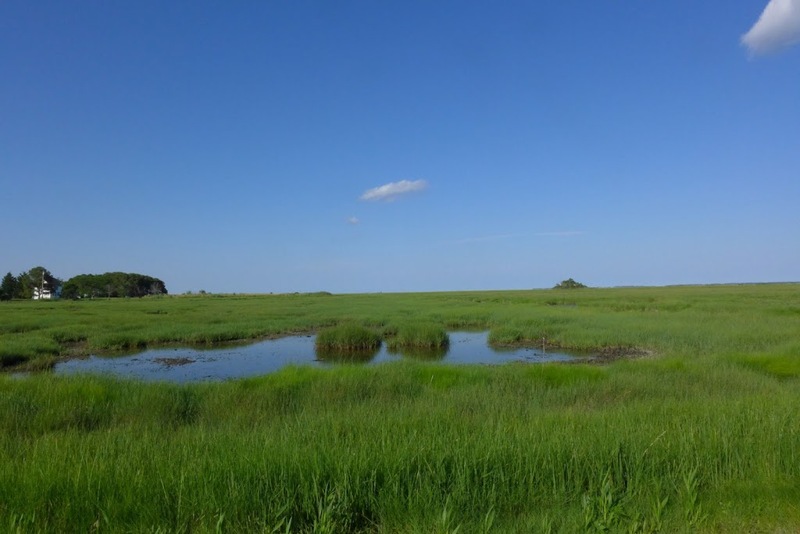 Nestled between Cape Henlopen and the Great Marsh Preserve, it is home to the University of Deleware’s Marine studies campus and Beebe Medical Center, founded by two brothers doctors in the early 1900’s. The sun eventually came out around Noon and the remainder of my time in Lewes was going to be devoted to finding my Grandfather’s plot in the Methodist Cemetary. A handwritten note in the strongbox indicated he was buried there; and my mother had at one time or another said she thought he was there. I was expecting to find him and record the location, as well as see who else of interest might be buried next to him in case it lead to relatives we haven’t tracked down yet. 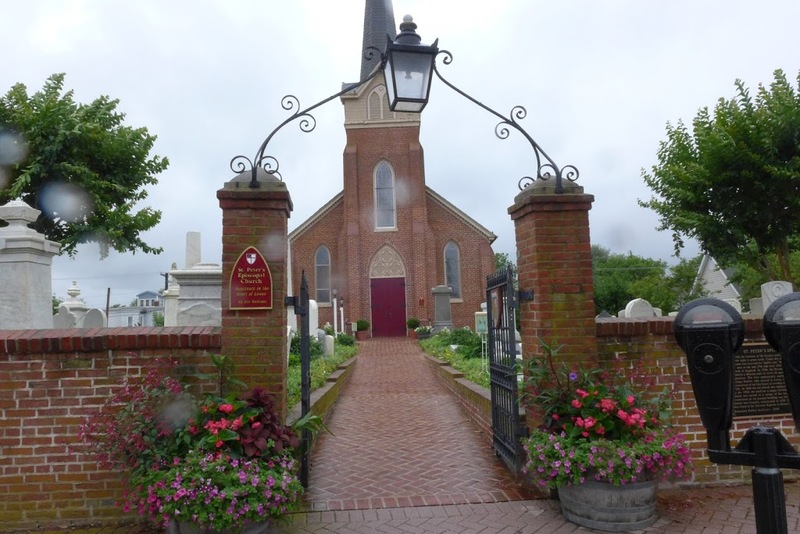 June 14, 2014: I parked in the Bethel Methodist cemetary, a block-wide rectangle flanked on the west by the Beebe Medical center on the main route into Lewes, and sought out the older-looking tombstones. 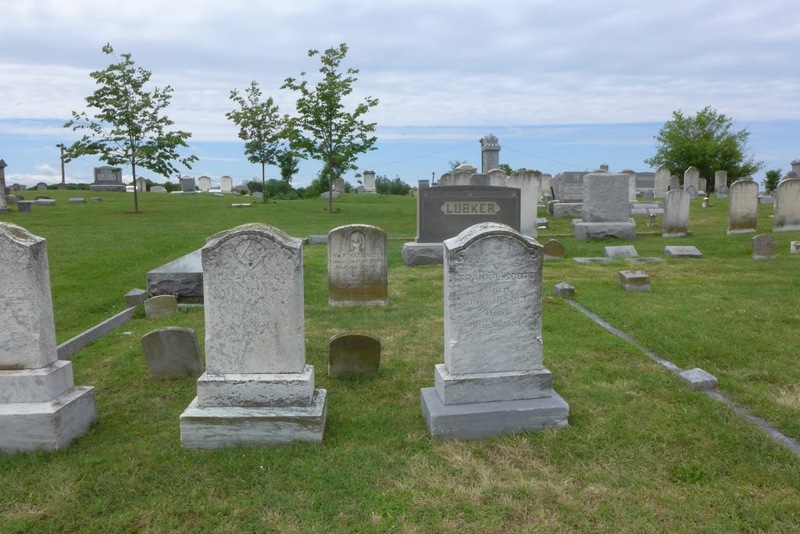 As I walked through the rows all the white, rust-stained stones were from lives lived in the 1800’s, while those who would have died near the same time as my grandfather, in the 50’s, were well-preserved gray granite with contemporary script. There were many Messicks, Morrises, Harrington’s, (Harrington, Delaware is another place in my memory of places to look, but I haven’t remembered that at this point), Beebe’s, but no Newmans. After walking about half the lot I drove over to the church itself to seek assistance. A woman in the office gave me the name and phone for Don Mitchell, the caretaker. An old voice answered the phone. I gave the name and year to him while parked on 4th Street and he said he’d look & get back to me. 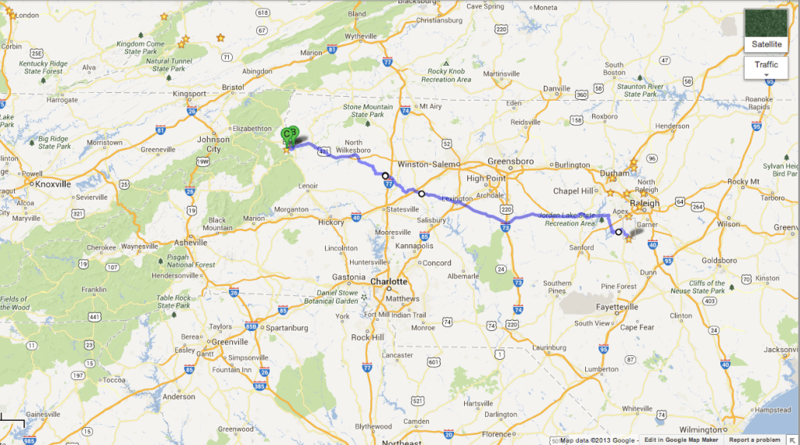 It was getting to be late for making the trip to Greenbackville then all the way to DC, but I felt the need to try. I made a quick sandwich in the tailgate with leftover sausage from the night before. A man in his 50’s with a worn look on his face came by and went for the blue-green 1970’s pickup parked behind me – I asked if he had enough room to get out. “Not going, I’m at the hospital”. He entered the passenger side and sat while I went back to my sandwich. Wasn’t in the mood to chat. Don called back a few minutes later. I heard, “We have a record of Alexander Newman”. I expressed some confusion about this and asked for suggestions. He didn’t have much to offer so I thanked him and hung up. The note in my mother’s collection. 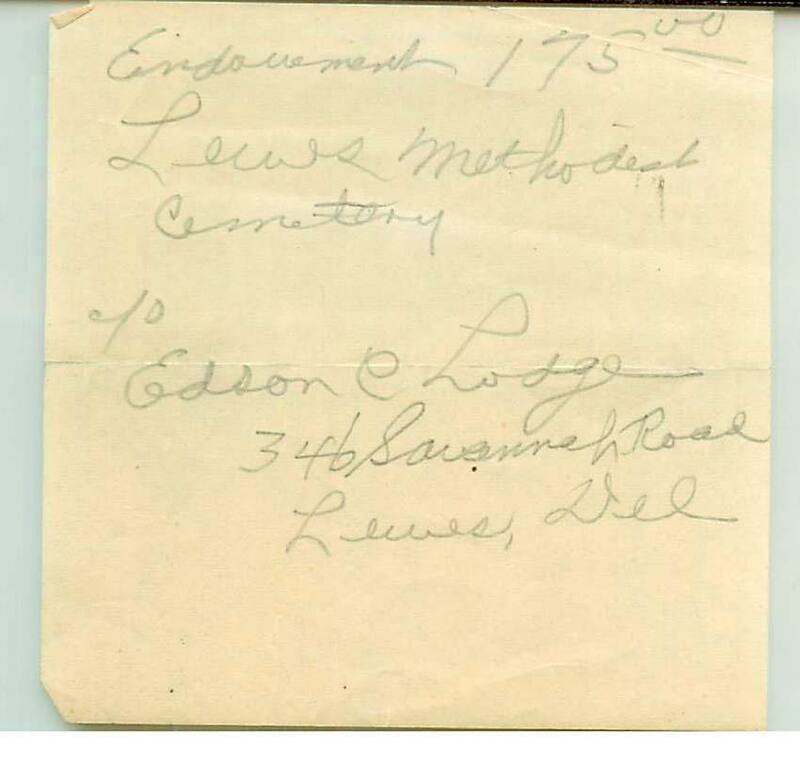 In my mother’s records, some of which I have with me in the car, are some notes indicating this cemetary – but now can’t find these notes so am working from picture-memory. I remember a “receipt” – a handwritten note in an envelope addressed to E A Newman, and thought perhaps it’s not related to his resting place, but that of one of his relatives. I forgot that I had scanned all these documents so could look at them on my computer – if I had remembered, it would have led me further than I got while I was there. On 24, I pass a place called “Holly Lake” with a large funky painted sign in front of a lodge-like store, or restaurant, or campground supply – it was hard to tell without turning around and stopping. A few miles further is the Nanticoke Indian Museum, but again I don’t have time to stop. At the Azafran cafe this morning a couple sat next to me, older, and I asked them if they were locals. They were. Gail was elegant and bespectacled with a golden-grey bob; Cole a stately white-crowned gentleman with bright blue eyes and friendly face. I inquired about the Methodist cemetary and whether they had any tips on finding someone there. They didn’t know but thought there would be an office I could check. I filled them in on what I was doing, seeking family and touring the country. Told them I was going to Greenbackville next. Cole was the talkative one, and remarkably was originally from Greenbackville. 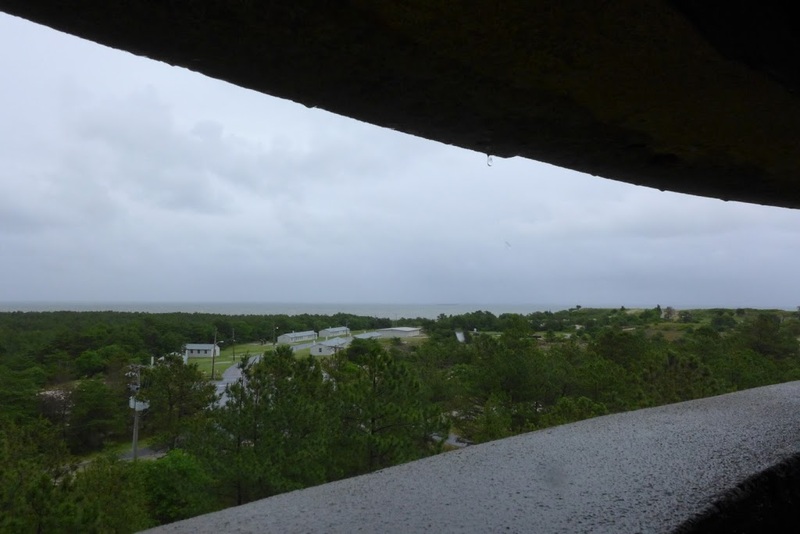 He filled me in on what’s there now – has become a bedroom community for Wallops Island where NASA is developing the unmanned rockets. I asked if there was still a downtown & he said, “oh yeah, it’s still there, you might find some people from back then there.” He told me that since I was going down there I’d be remiss to not spend time seeing Assatigue and Chincoteague, the two barrier Islands just off the coast there which are quite stunning. Chincoteague is known for its wild ponies. I had to stay on schedule. Still on 24 I drive through the middle of a huge industrial site, a full mile of structures with a man-bridge connecting the buildings one side to the other. The signage for Montaire indicated chicken processing, and it smelled it as well. Surrounging fields were half-high with wheat and corn. I turned onto US 113 heading south towards Selbyville and the state line with Maryland. 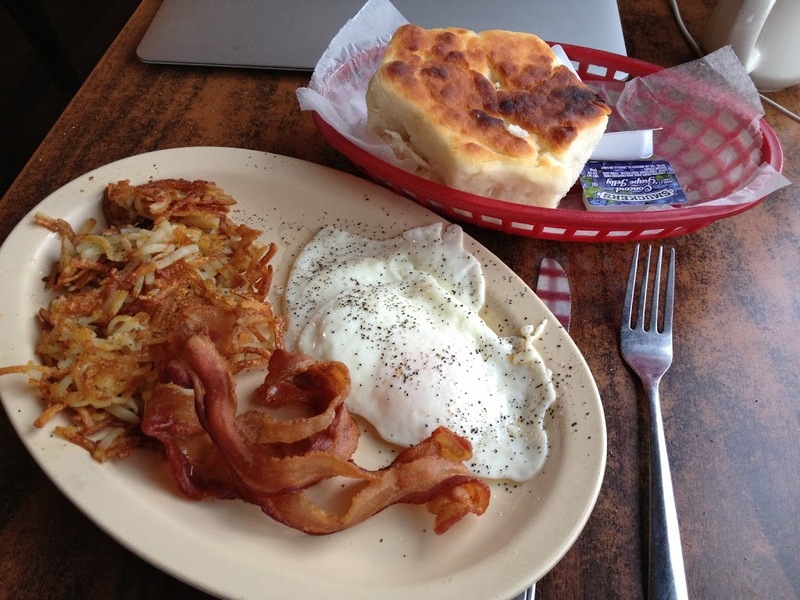 I’m thinking I’ll spend an hour in Greenbackville if there’s a coffee shop. If not I’ll just take a spin around with the camera then move on. I went through Selbyville, didn’t see anything from 113 but perhaps there is an interesting downtown. I pass the exit for US50 E/W, heading to Ocean Pines and Ocean City MD one direction and Salisbury MD and Washington DC the other. After this the four lanes drop to two with a dashed yellow between them. At 4:00pm I’m making good time and expect I can get to DC from Greenbackville before 9pm, maybe even 8:30 if the road allows. This part of the world is wheat and corn fields, chicken farms, divided by woods and marked with an occasional intersection – it’s so remote I’m amazed that I ran into someone in Lewes who was from the place I’m going. I pass a sign indicating that Snow Hill, MD off to the right has an historic district and a big furnace to look at. The town name seems familiar and I add it to the list of places I would see if I had time. 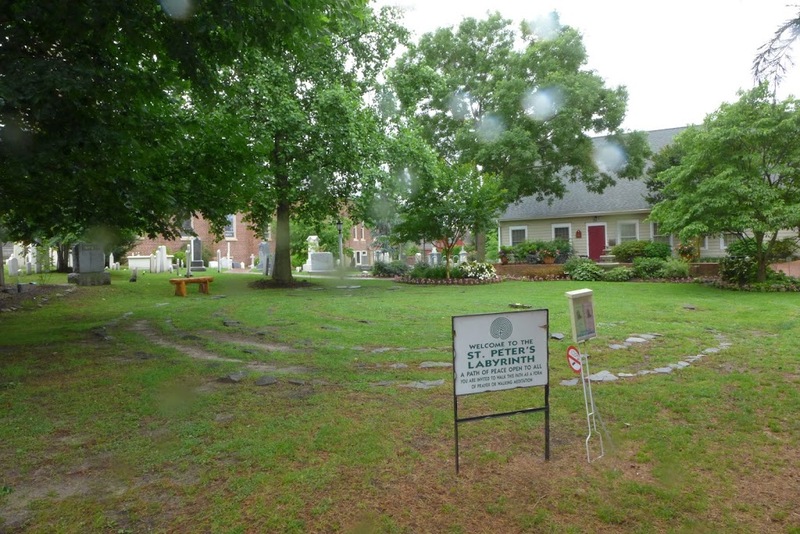 (Later I realize that the church in Snow Hill is where my mother’s parents were married). At this point I turn onto MD12 towards the Virginia border and my destination. I pass through Girdletree, a few brick buildings and houses, including an historic bank building and a firehouse. 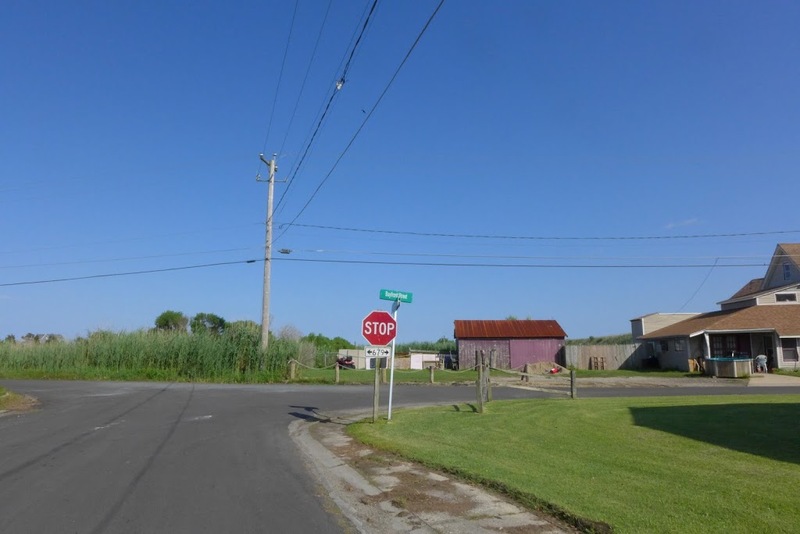 A mile south of Girdletree in the midst of corn on one side and soybeans on the other is a small building with a weathered sign on a post, “Timeless Tavern.” In front six pickup trucks were parked, their owners presumably inside. Then Stockton, a mostly abandoned looking place with a firehouse, 2 brick buildings with storefronts across an intersection, both empty and decrepit, but for a “for rent” sign in one. I turn left onto VA679 at the Virginia border, a/k/a State Line road…literally. I pass a sign for a golf course, which seems out of place. 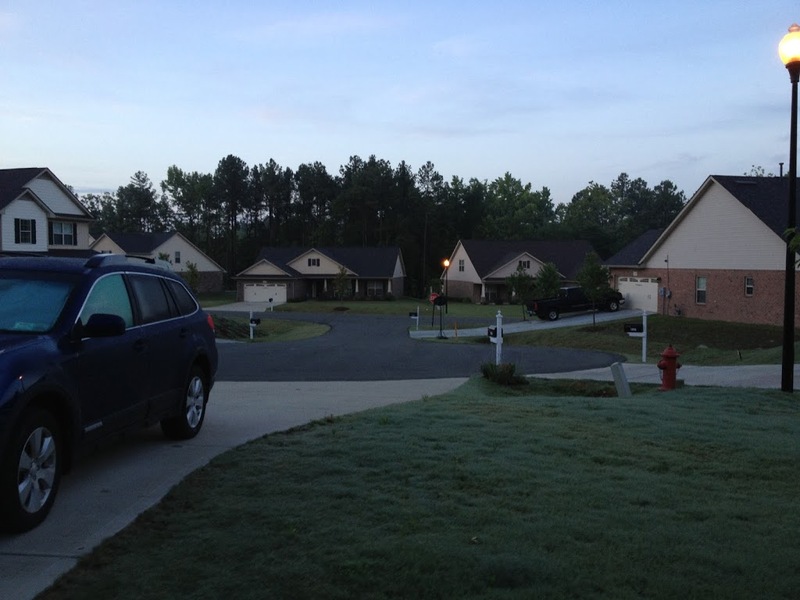 I wonder if Greenbackville is some gated community with polo-shirt-and-sperry-topsider-wearing clans. There is a Prudential office in a house. Woods. An old cemetary, Union, on the Maryland side of the road. A stone-walled entrance to something called “Captain’s Cove” – a country club or planned community on the Virginia side. 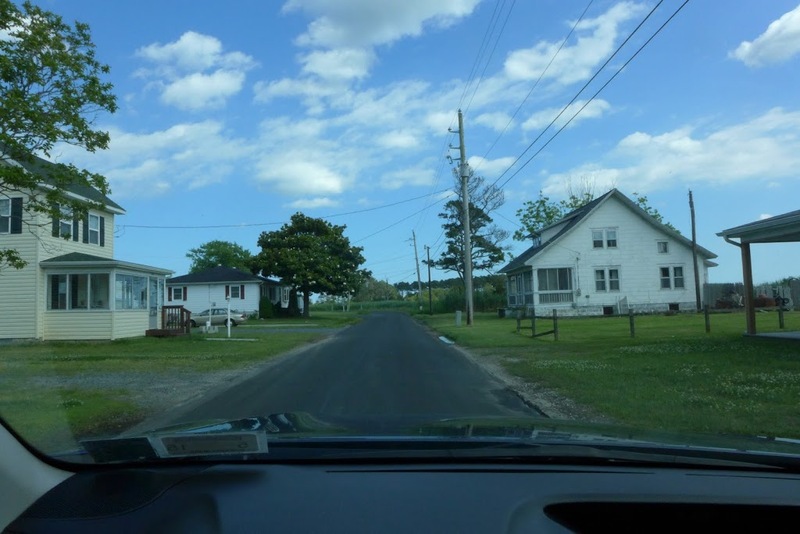 Then the road curves south, crosses a creek and the trees clear and there’s a few 1940-ish clapboard houses in modest relation to each other suggesting a place. Google’s map woman, who I call Gigi, tells me to turn down Church Street. I see Church and turn left, passing a few more houses and see a church at the end of the block’s T. Gigi says “you have arrived at your destination.” Have I? 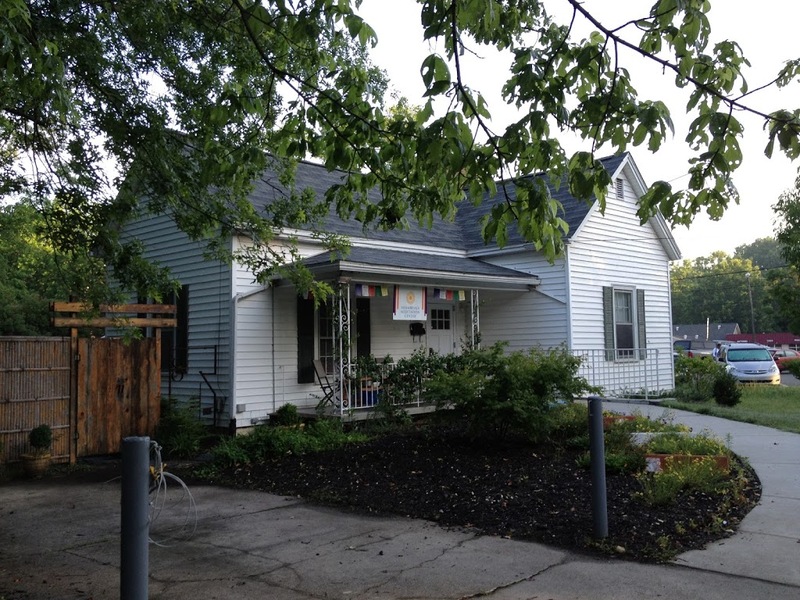 A plain off-white shingle house with a porch and grassy yard on a block with a few others of the same. I continue to the church and turn right towards the water. There isn’t a soul about. I spot a store-like building on the left with a soda machine outside and a couple of guys leaning on a pickup truck in blue t-shirts. I park and go to the “store,” stenciled “Momma’s” which is closed. 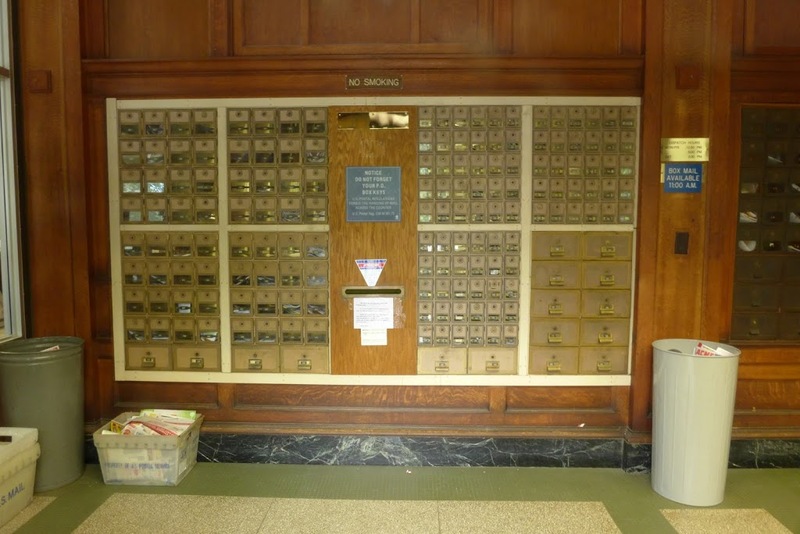 A post office resides inside, but no one is manning it. Turning around I eye the blue shirts and approach. “Hi how ya doing?” I ask, eyeing firefighter logos on the shirtpockets. “Ok” they say, curious but wary. We talked a bit longer about the town. The town store closed a while back, the post office moved into the space. Momma’s next door closed a few years ago; only the soda machine functions there now. The town has 2 soda machines, a post office, and the Crusty Crab restaurant down by the water, which seems to be a point of pride. They give me directions to Paul’s house and we bid farewell. Paul’s house and the house next door are identical except for a few decorations outside. A first I go to the wrong door and the gentleman who answers points me next door. Jewel Song changes driveways and I go up to the glass-screened door to ring the bell. Greeted by two dogs, one black and one beige, adorable little yappers with white muzzles and wide eyes who twirl and bark feistily until finally a silver-haired fellow in red M&M pajama bottoms and a 2009 festival t-shirt appears. I introduce myself and mention that Brian sent me over for help locating my grandfather. Paul leads me to the kitchen with a look of perplexed amazement. He may have just woken up. What followed was unexpected, a tragic story. I listened. It seemed I was meant to be there for reasons beyond my simple search. We exchanged contact information and I bid farewell, taking his hand in both of mine. The beige dog escorted me to my car, happily frolicking. 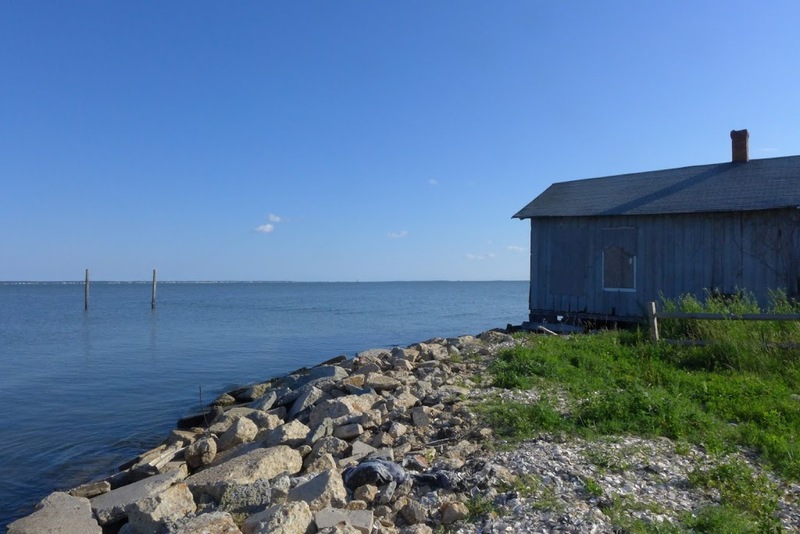 I drove down the bay road to the edge, next to an old oyster shed. It was the most tranquil place I’d been in a long time. I got out of the car for a while and walked along the crushed oyster shells that covered the path. The water quietly lapped and bees hummed in the lace. In the distance was Chincoteague, dotted with houses on the bay side. The sun was sliding towards the horizon but the light was entrancing. I left, again reluctantly. 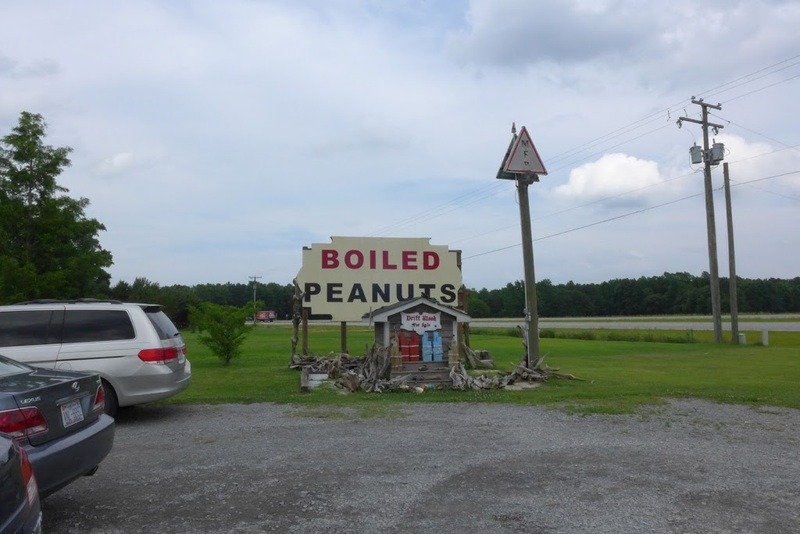 I reached DC around 10pm, after a long, mostly unremarkable drive on US50, with a stop in Snow Hill for a quick bite. “Quick” turned out to be a 45-minute unremarkable Ceasar salad in the Blue Dog Cafe, a staple of evening dining and entertainment there for some decades. The service was friendly but, well, slow. I itched in my seat, wolfed the salad down and left exact change. In DC, Sarah helped me get Jewel Song in the slender alley garage and we schlepped in my cooler and some bags. I hit the bed and passed out. 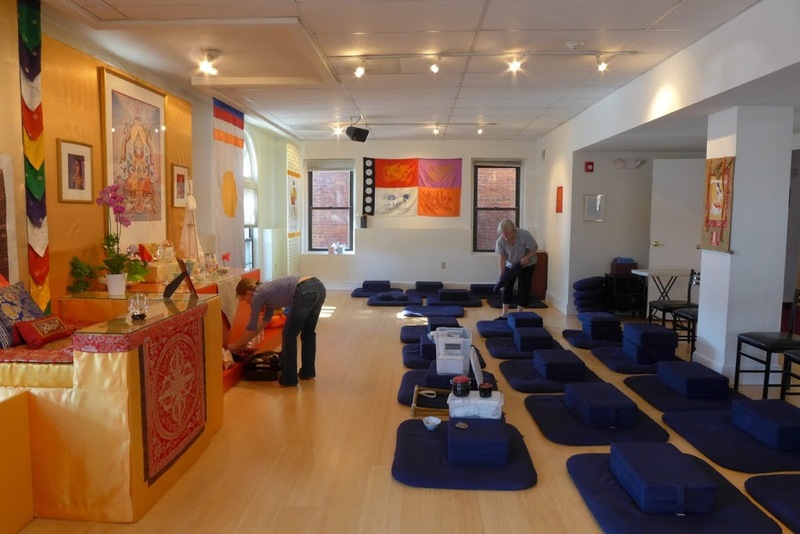 Saturday morning we wake and go to the DC Shambhala center for a vajrayana practice weekend, which I’m grateful to join for the morning. 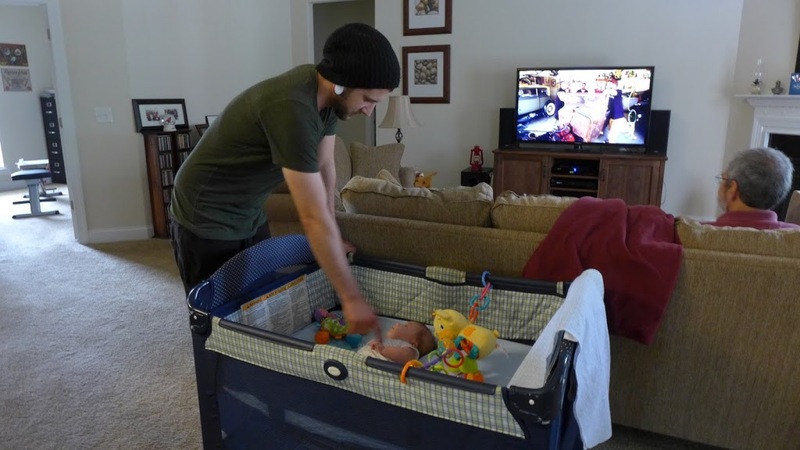 I haven’t been able to do my practice since being on the road – the compressed schedule, and getting accustomed to sleeping in different locations each day have not permited me an hour each morning in a conducive place. 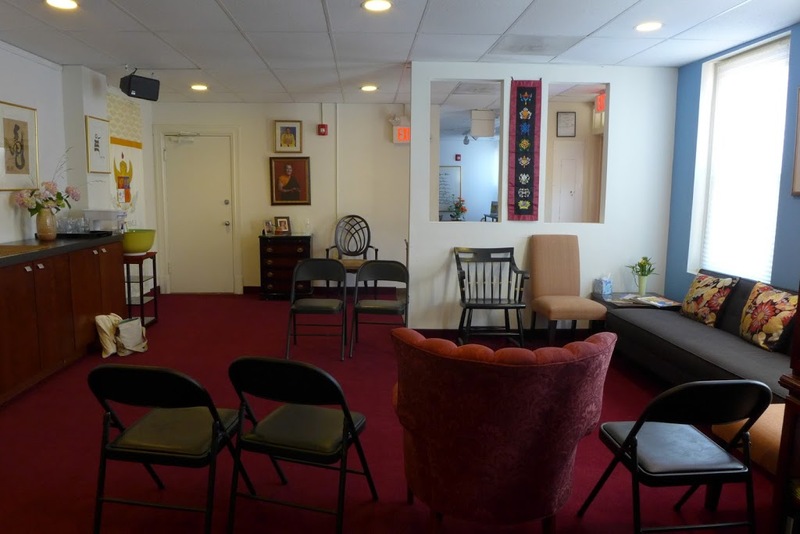 The DC Shambhala center is a bright, enticing space with a fountain of good energy and a beautiful shrine room. We practiced until 12 then went to lunch and caught up on the changes in our lives the last few months. I spent the afternoon doing laundry and walking around Adams Morgan looking for a good cafe with internet access that didn’t have a noisy crowd or blasting dance music. Tryst was recommended, but they were very loungey and didn’t offer internet on the weekends. 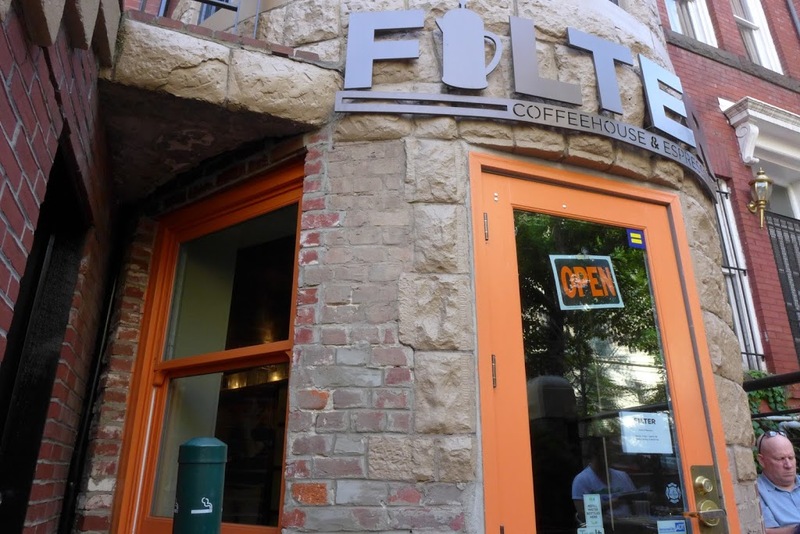 I found Filter on 20th and S Street, just the kind of geeky little coffee-snob joint I’d become fond of in New York. I’d made plans to have dinner with Sarah so spent the afternoon trying to relax and enjoy the neighborhoods but found myself feeling edgy and distracted instead. The previous few days I’d felt somewhat relaxed and now the city energy was subtly taunting me. I walked 7 blocks down T street to dinner, admiring the rowhouses. 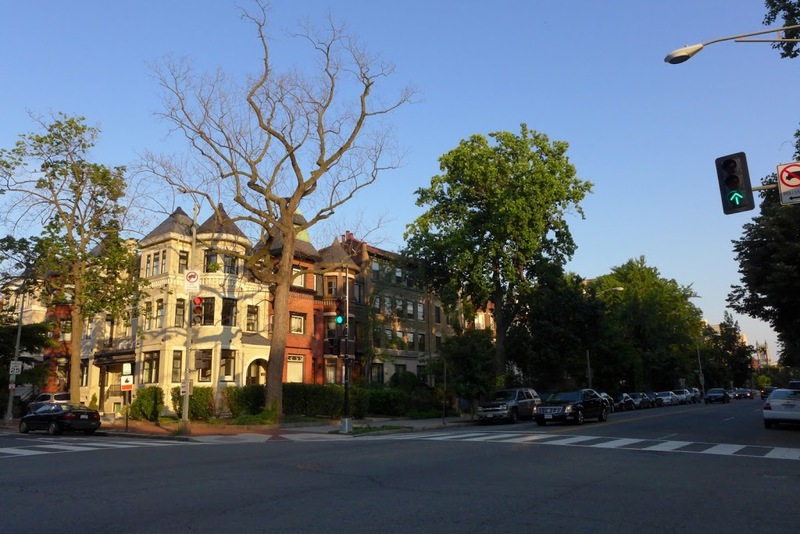 I love the variety of old house architecture in DC and often think the neighborhoods bordering Rock Creek Park would be where I would want to live if I was so disposed…but I feel city living is something I won’t want to do again for a while. When I was sitting on the edge of Greenbackville, nothing but bees and a few birds around, it suited me. There was so much space, quiet, stillness. I could use a few more days of that. Sunday morning Sarah helped me load the cooler with re-frozen blocks of ice and my few provisions, then we said goodbye and she pedaled off to another day of practice. I squeezed Jewel Song out into the alley and made for Beach Drive in the park. 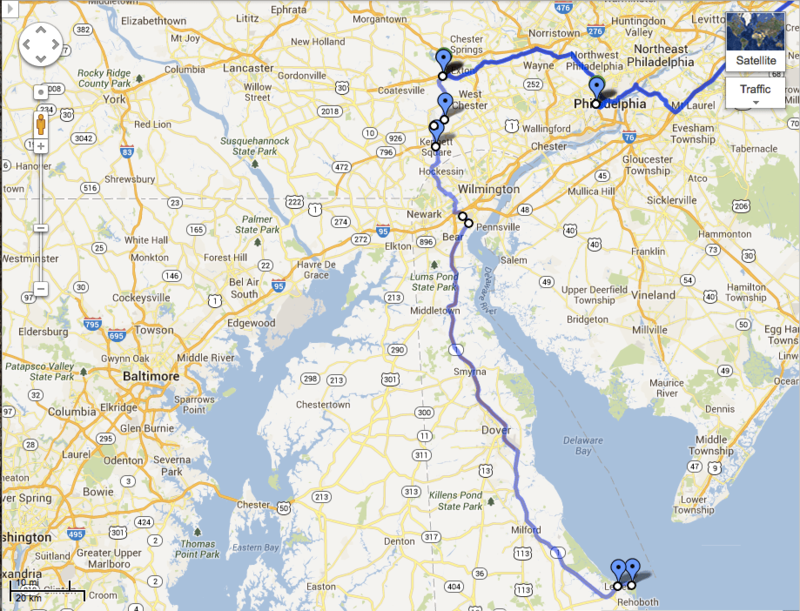 I was going to meet an old friend from my 1980’s Frazer days who now lives in Springfield VA, just south of DC. 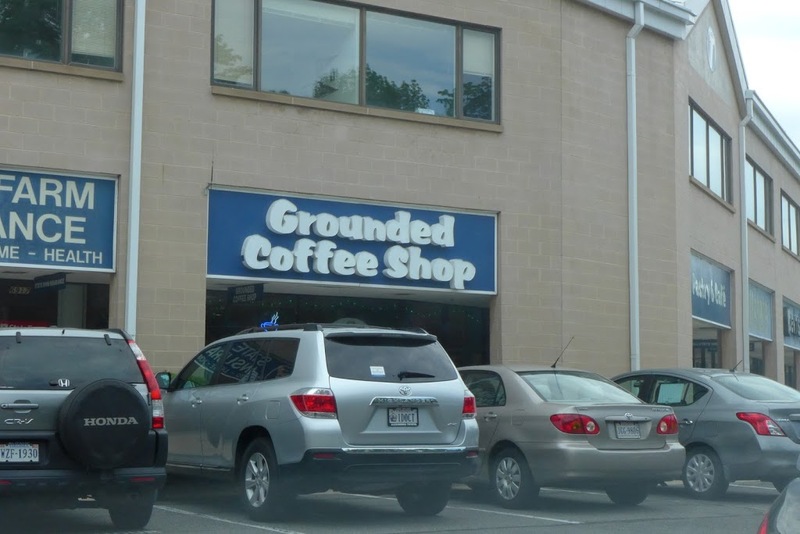 I also needed a coffee stop with internet, and Grounded Coffee in a small strip mall in south Alexandria came up on Google. The place was decorated like a pre-school with bright colors and indestrutable formica tables, but they had a bakery on site and a decent mini-quiche. I worked there for a couple of hours then left to meet Margaret a few miles down the road. As I was leaving a female jazz singer was taking her place in front of a guitarist in one corner of the shop, dressed for a lounge. Pre-school adult jazz lounge coffee joint. 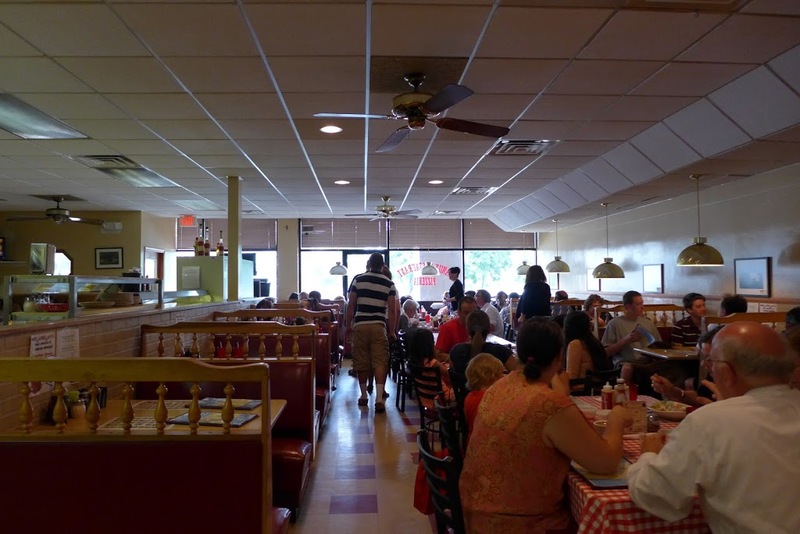 The Springfield Restaurant and Pizzeria where I was meeting Margaret for lunch is within a strip mall just off of I-495 but I took Franconia Road through the typical suburban scene of…housing development, strip mall, strip mall, strip mall. We had a nice table in this greek diner with good light from a large front window. We caught up on the past few years. Margaret and I met working at Friendly’s when I was in high school. She lived with us for a wile in a spare room my mother rented. Over the years we haven’t really kept in touch well as our lives have led us in different directions, but there were some wild times back in the day, so we have a long bond. Margaret’s a romance writer, working on her first novel and working back from a couple of years of unemployment during the downturn. Now has a good job in marketing and dotes on her sisters’ kids. She’s planning a trip to see one of those sisters, now living in Northern Ireland and running a mountain biking park. I have one more stop before heading to the Outer Banks, so we finish up lunch and I plot my route in the parking lot. The REI in Woodbridge, VA is centered in one of those “newfangled outdoor mall” developments – a new construction designed to mimic a small-town downtown, with chain retail stores opening onto a perfectly landscaped grid of “streets,” surrounded by wedges of parking lots, surrounded further by (in this case) a large townhouse development called Potomac City. Nary a tree above 10 feet, the whole thing feels completely artificial and repellant. I think of the empty homes in Greenbackville and this swath of new-everything development, and it epitomizes something of the materialistic confusion of our culture. Also, there are green bubble-shaped speakers in the landscaping along the walkways, playing “feel-good” rock from the bushes. I find REI, get my mosquito netting and escape as quickly as possible. South on I-95 towards Richmond, deciding to make up time. But I continually run into sluggish traffic. Seeing a chance to circumvent on a more interesting blue road, I exit at Kings Dominion and take VA30 east towards King William, which I was curious to see because of the name. 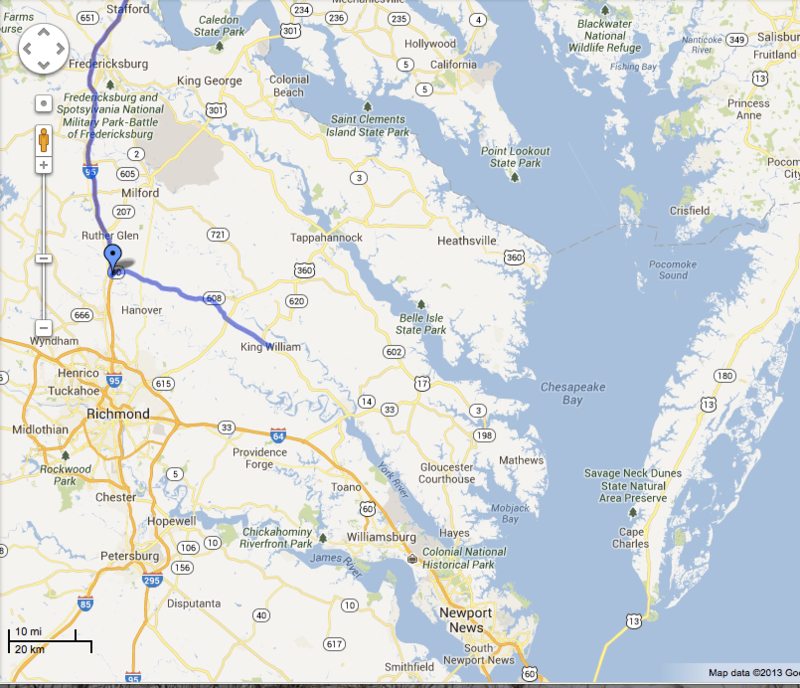 There is also a town further north along the Chesapeake watershed called King George. Perhaps there are a few more royalty here that I’m missing. Horse farms and rolling grass lawns drifted past on this two-lane road. A boat with two motors rode on the back of a truck in front of me. I was heading to West Point, VA, where I would turn right and re-enter the Interstate system on I-64 going around Norfolk. King William is a county on the “middle peninsula” of Virginia’s Chesapeake shorline, and boasts the oldest courthouse in continuous use in the United States, built in 1725. The farms and trees gave way to a brief array of modern conveniences before returning to nature. Noodling along at the speed limit I saw a few interesting older buildings further east but nothing to get out of the car for. Then an intersection with an old store, Jim Hall’s. Hand-painted and worn, with a patriotic palette of hand-drawn adverts pasted to the front posts, I turned into the small lot. Not a soul was about. The sign for BBQ should have enticed me to enter, but I hesitated, knowing I could be getting to the campground well after dark. Also I can’t eat BBQ because of an allergy to peppers. So I took a few photos and hopped back in the car. If I had just taken 10 minutes to go in and meet whoever was there, I would have saved myself from what happened next. Turning from Hall’s back onto VA30, I accelerated up a long grade. 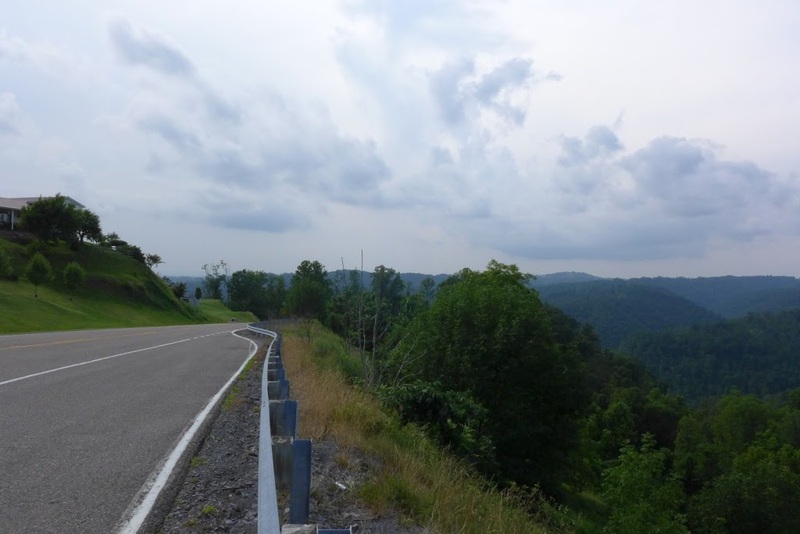 Had not been looking at the speedometer when I crested the hill and a trooper was coming the other direction – I looked and saw my needle near 70 and knew I was done for. In the rear view, flashing blues made a u-turn. I pulled over long and waiting for him to catch up to me and was in a lovely spot with a view of a farm and pink skylight. The youngish officer came to the window and I started the conversation with a truly sincere “I am so sorry.” I explained I was accelerating from a dead stop at Jim Hall’s and had not intended to go over the limit, had barely been 10 seconds from the stop I’d made. “Where are you headed?” “The Outer banks.” “Using GPS or something like that?” he says, looking off into the distance, not really interested. “Some. I like the scenic routes, don’t like Interstates.” He was very gracious, took my license and registration, went back to his vehicle. I prayed I would get a warning from this polite fellow, but he came back with a summons on a clipboard, a large duplicate form, indicating speeding at 70 in a 55mph zone. Court date (at the oldest continuously operating court in the US) was August 1st. I flashed a thought on my itinerary and panicked for a moment knowing I was expected to be in Halifax, Nova Scotia. “This is not a confession of guilt if you sign here, so you can come back and contest the charge in court on this date.” “What if I can’t be here on that day?” “you can call this number and schedule another date. Or you can pre-pay the fine, plead guilty, and resolve it by mail.” My mind plays frantically with the options – I don’t feel guilty, but I really would rather just pay a fine and be free to move on. Yet doesn’t that mean points on my record? I wonder if points are reported to New York. I’ll be getting my insurance renewed when I move to Vermont later this year – what does it all mean? It’s too much to process. I say, knowing it’s fruitless, “I’m sorry, this doesn’t feel right to me, could you not give me a warning? I just left Hall’s and over-accelerated.” “Well, you can defend yourself in court. 70 is 15mph over the limit, that’s just about reckless driving around here. Besides, I already wrote the summons.” He’s just looking around while he talks, not really interested in my problems. I reluctantly sign the document and he gives me a copy and tells me I’m close to West Point, not much further. Seems he wants to both help me find my way and keep me from spending much more time in his jurisdiction. I pull out and set the cruise control at 55, stewing with shame and irritation. I stewed for another 20 minutes then found some things to take my mind elsewhere. I pass the containerboard mill in West Point puffing steam by the bridge, owned by a company I used to work with at my old job. 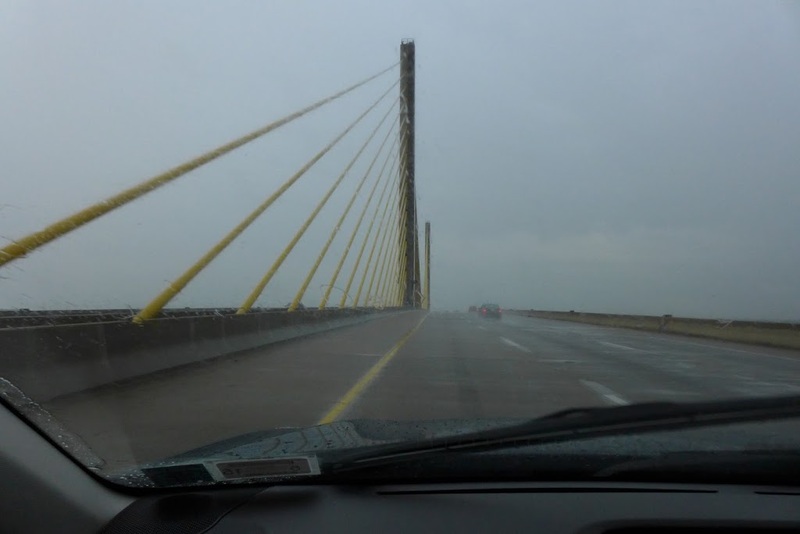 Crossing the border to North Carolina, the ocean felt close and the Chesapeake Expressway promised to “Get me there faster.” Twilight faded to night and Jewel Song crossed the last of several bridges over Chesapeake inlets that day, over the Albemarle sound into Kitty Hawk. We found the Adventure Bound campground a few turns later. I set up without dinner, the sound of crickets and some kind of weird bird call shreiking from the woods as I drifted to sleep. 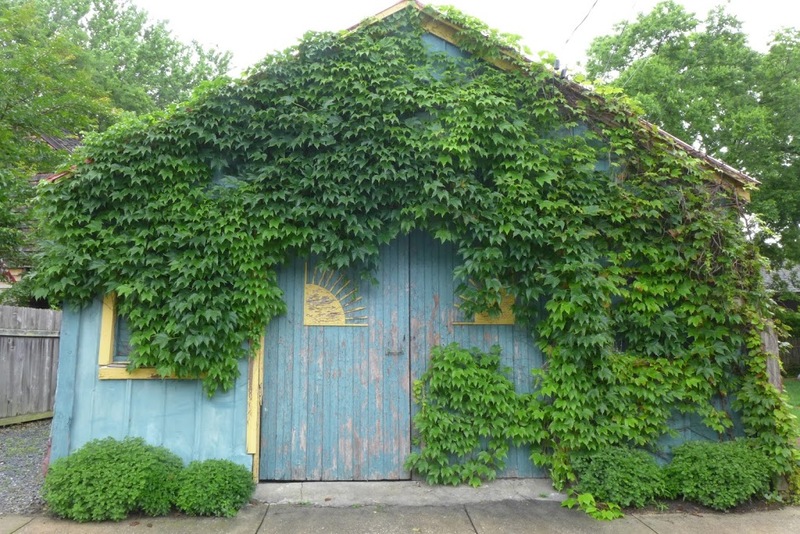 June 22, 2013: The porch at the Durham Shambhala center has nice porch furniture, a flowering vine, and a view of the small front garden and Rutherford Street. Across the street an identical bungalow, worn of paint, apparently vacant, but clean, stares back at me and invites my imagination to fix it up and plant a few things. The 7:00am “Early Bird” open sitting on Wednesday mornings was apparently a figment, for no one had appeared, except for the parade of Duke U. Hospital employees who continually walked by to the bus stop just a few yards away. Seeing me on the porch many of them smiled and waved politely. 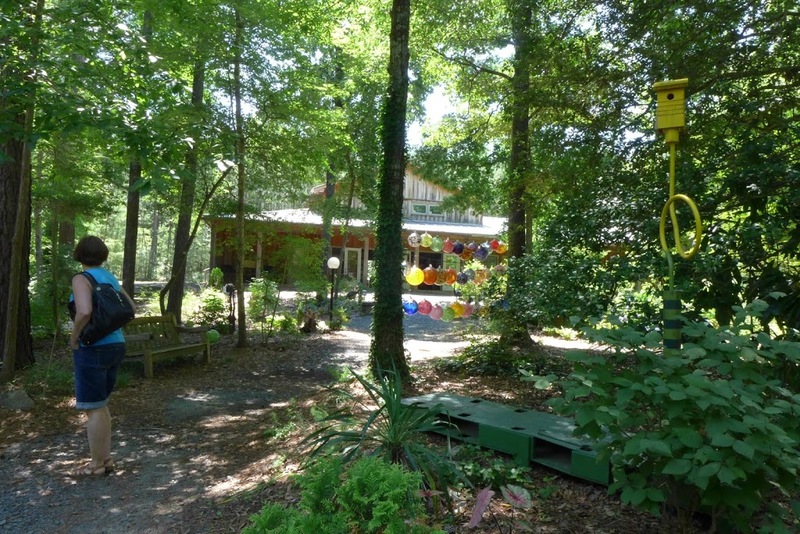 I wondered if the Durham Shambhala folks had ever though of having a schill sitting on the porch tempting people to stop by on their way home in the afternoon. My mind wasn’t settling very well but that was to be expected. 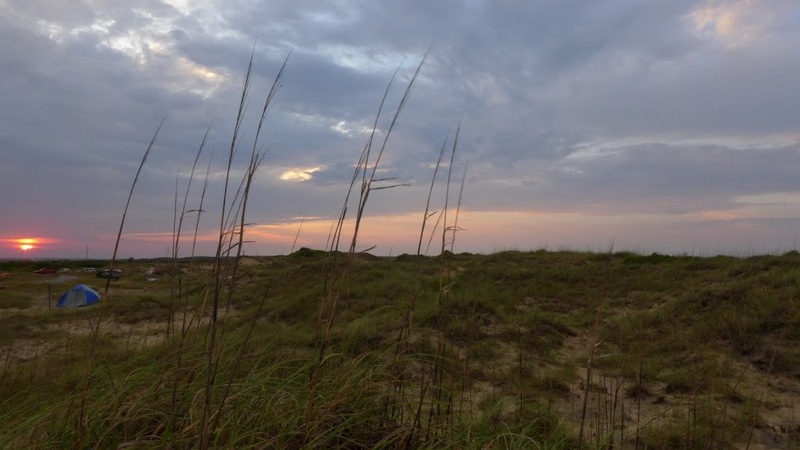 I had been driving for days and hadn’t experienced the stillness of meditation since Saturday in Washington, in spite of the empty beauty of the beach campgrounds of Oregon Inlet. 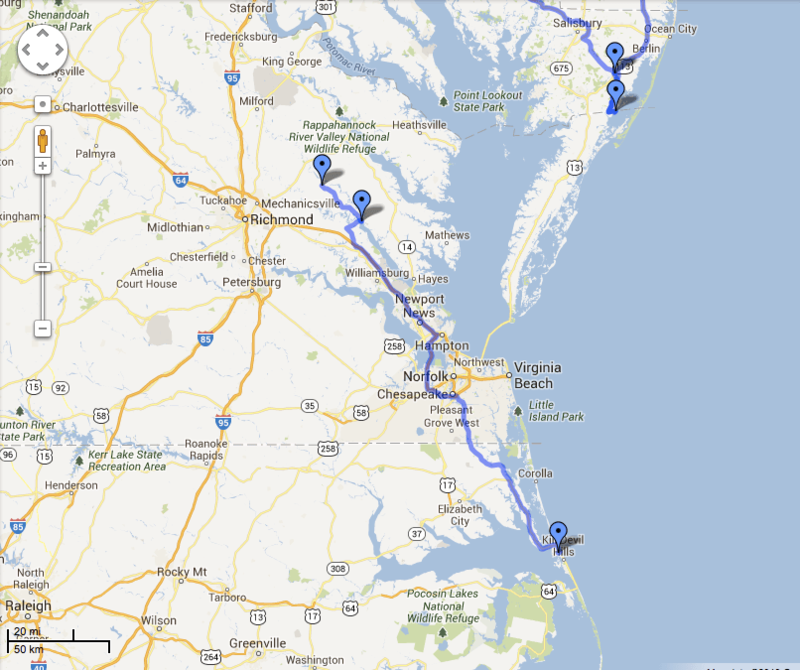 This is because the beach campgrounds in the Outer Banks are exposed to sun and steady wind, both of which wear on me. It was difficult to be outside for long, so I avoided sitting at my campsite. 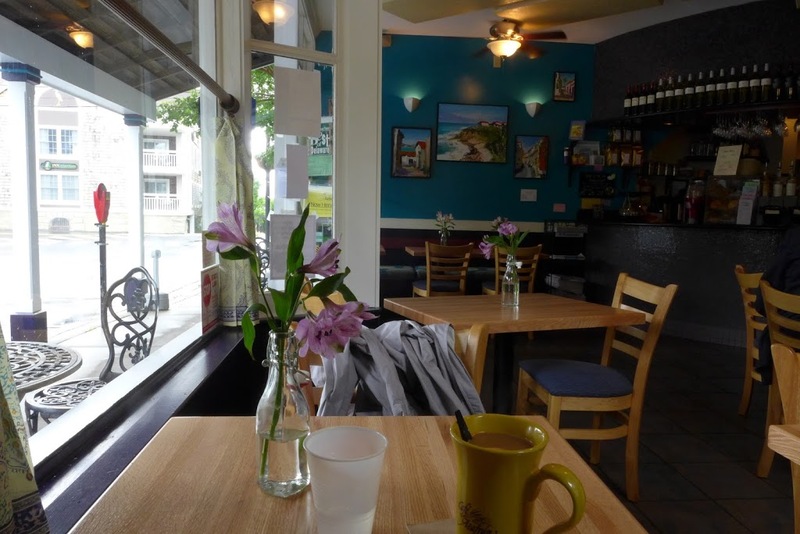 The search for a sheltered place led me the familiar – coffee houses and restaurants, so I could use internet and update entries. Had I sought woods there may have been some solace from the elements. I am used to my café comforts, but in the end they weren’t conducive to accomplishing much either contemplatively or productively. 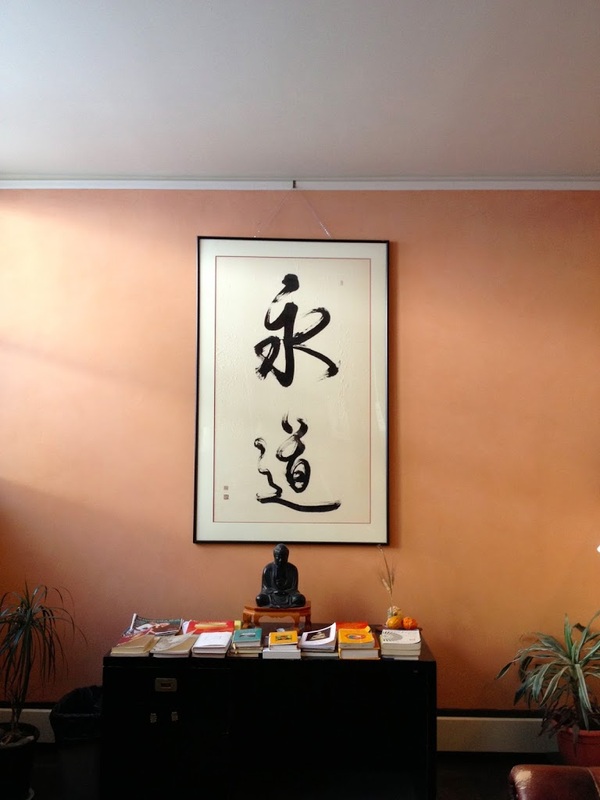 Writing and meditation seem to require me to be away from people, not among them. 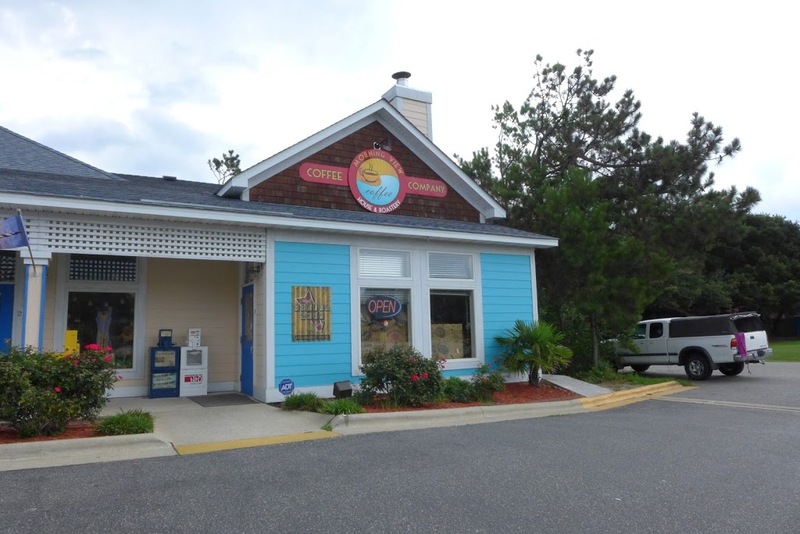 I left the Outer Banks Tuesday around 2:00 for Kathy & Jerry’s in Creedmoor, a 4 hour drive by US highway 64, flat coastal plain lined most of the way with tall trees and few interruptions. 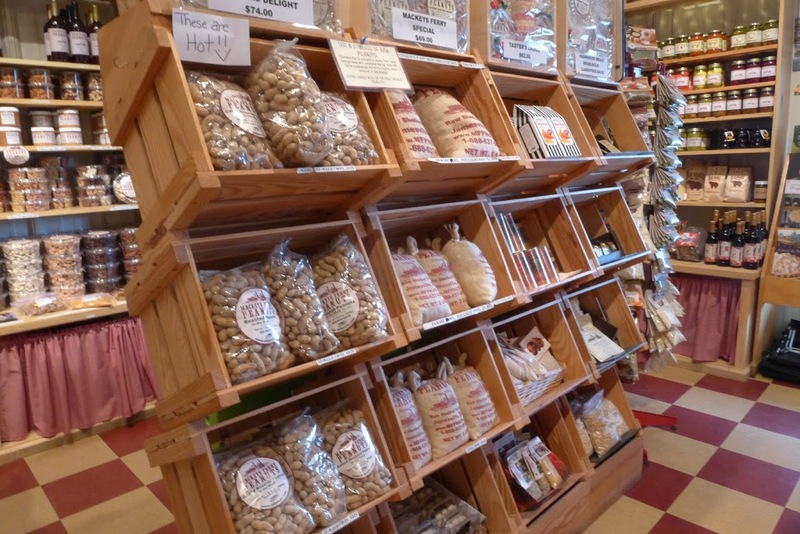 Dinner with two families beckoned; I only paused at Mackey’s Peanuts, a home for fudge, nuts, boiled peanuts, and firearms. Dinner with everyone Tuesday was a simple affair but pivotal as it was my first time taking out the box of Mom’s albums and scrapbook and sharing old pictures of her and our ancestors, and family lore. Carol says this gives her a new perspective on Mom. 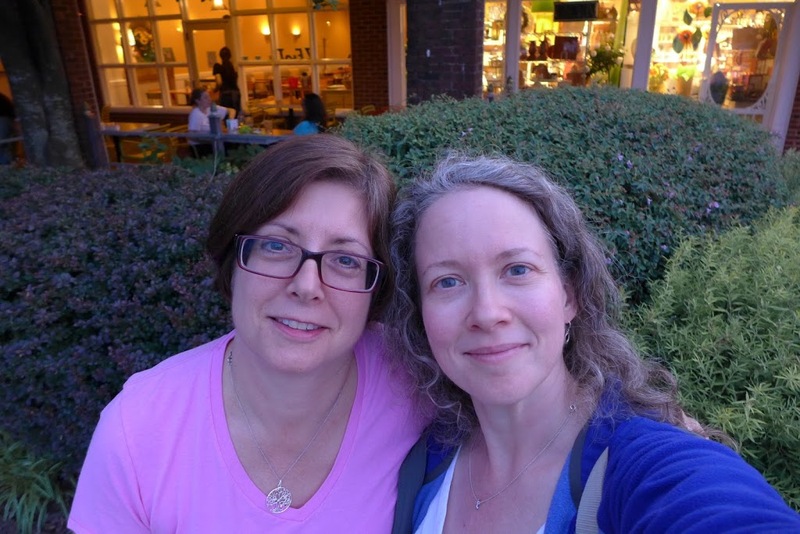 I admit it’s what I hope for, as Mom’s estrangements from my half-sisters has been a puzzle for all of us, and we each have different pieces. There are a lot of mysteries about our Mom that we have yet to unravel, which were completely impenetrable when she was alive because she wouldn’t, perhaps couldn’t talk much about the past. I know she was a good-hearted person who cared deeply about people, even though she was not outwardly engaged or skillful in how she maintained relationships. It’s partly my aspiration that visiting my half-sisters and sharing something of her life through images and stories we all might settle the unknowns to some peaceful end. This week started with Father’s Day on the Outer Banks and ended with my 45th birthday in Creedmoor. 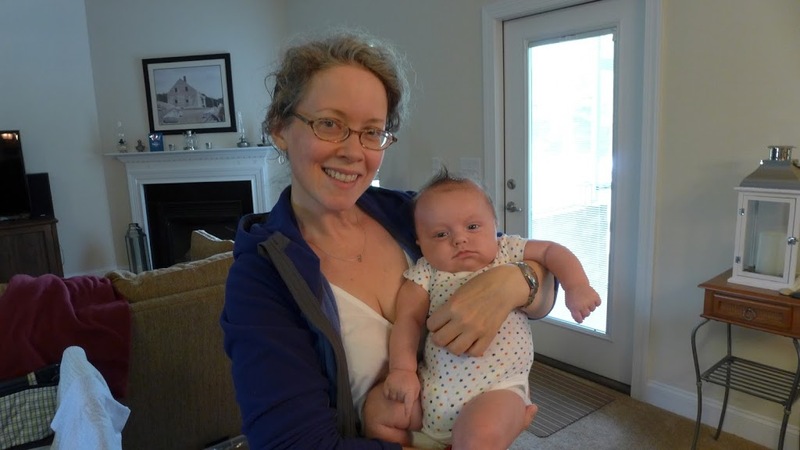 On Wednesday afternoon, after the porch meditation in Durham and a stop at Joe Van Gogh for coffee and writing I returned to Creedmoor and hung around the house with Kathy, my niece’s new baby Sirius, and my nephew Nick. Nick spent most of his time in his room working on his music interests or sleeping – he works the night shift at the local BJ’s. 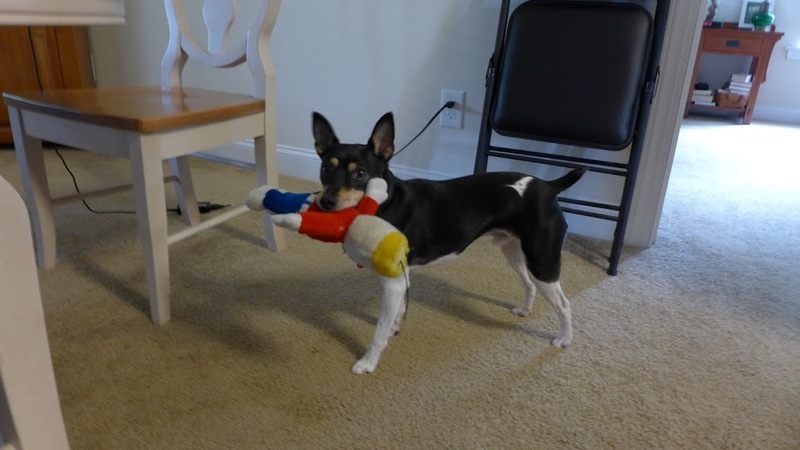 Kathy and I spent the afternoon playing with the baby, the rat terrier Finn, and catching up on the last several months. Then Finn found half a dark chocolate bar I’d forgotten was in my handbag and ate it. Being only 16 lbs, this was a problem. Kathy had to run out to the Rite Aid for Hydrogen Peroxide to force the dog to throw it up. I was embarrassed I’d not thought to clear out the bag before leaving it on the floor. It’s the kind of fog I’ve been in. 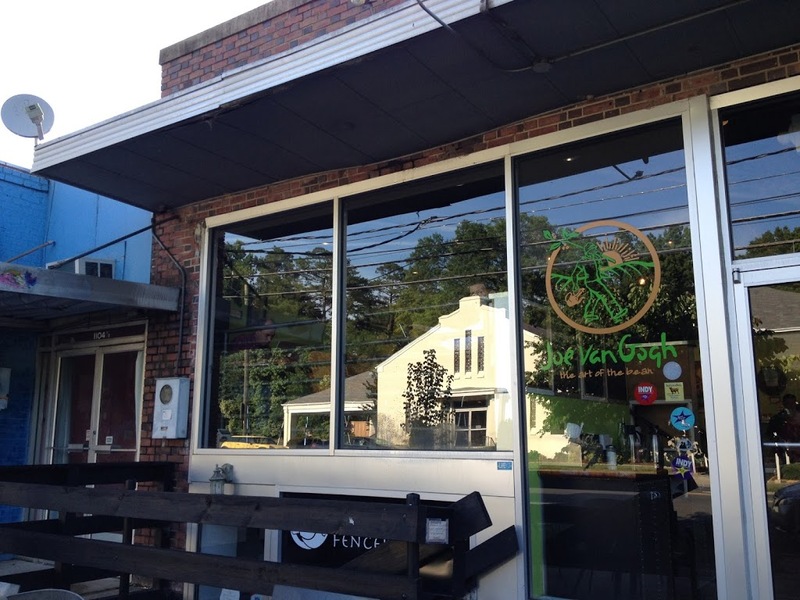 Joe Van Gogh Coffee, Durham NC. Funeral Home across the street. I explored some of the Falls Lake recreational parkland over the course of the week, trying to clear my fatigue. Of the several different sections of the park, my favorites are the trailheads you can access without paying any park fees – these are dotted on every road that crosses the lake. 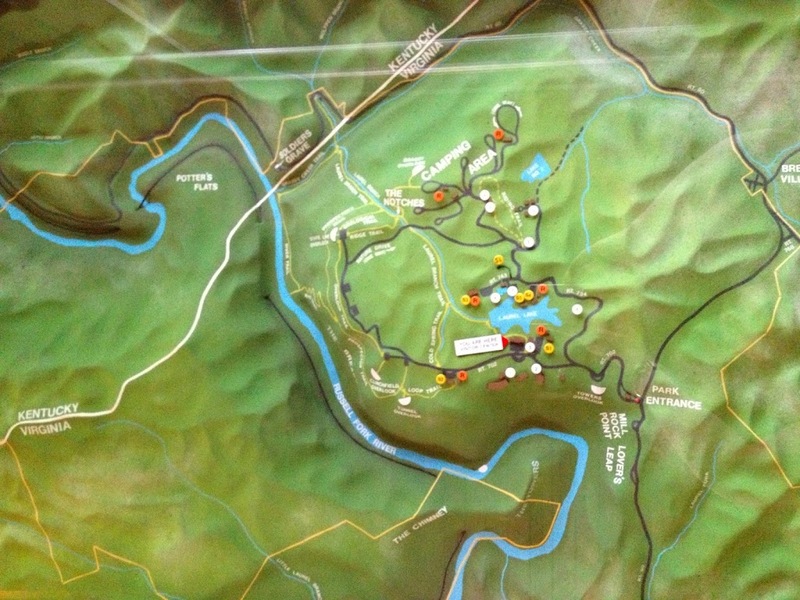 Anywhere there was a water crossing, you could find a pull-off on either end where a path would lead down to the lake and often to a branch of the NC Mountains-to-sea trail, which starts in Asheville and eventually will end on the Outer Banks. 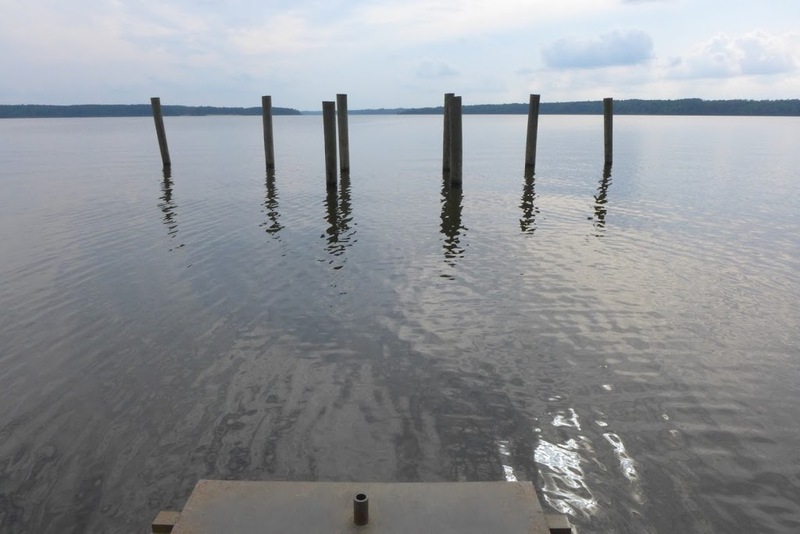 Unfortunately one other common sight in North Carolina is the litter – anywhere there is a pull-off, there is an area by the water where fishing in a beautiful place does not preclude leaving behind whatever wrappers, cans, tins, papers, etc. one no longer needs. I found one such place, slightly less sullied than some, and did my annual birthday practice, a short liturgy called The Elixir of Life which uses the Four Reminders of Buddhism to re-inspire dedication to living and practicing towards awakenment. Human birth is precious but existence is always changing; death is inevitable and comes without warning; all of our actions have inconceivable consequences (karma), Samsara is endless (the mindless cycling of lifetime after lifetime looking for happiness through non-virtuous means). It’s a beautifully written practice. I found myself able to connect with the words, and occasionally the meaning raised some appreciation in my heart for the journey I am now on. But I longed for a practice environment my mind couldn’t have any doubt about. Practice on the spot of wherever I find myself is proving to be difficult. 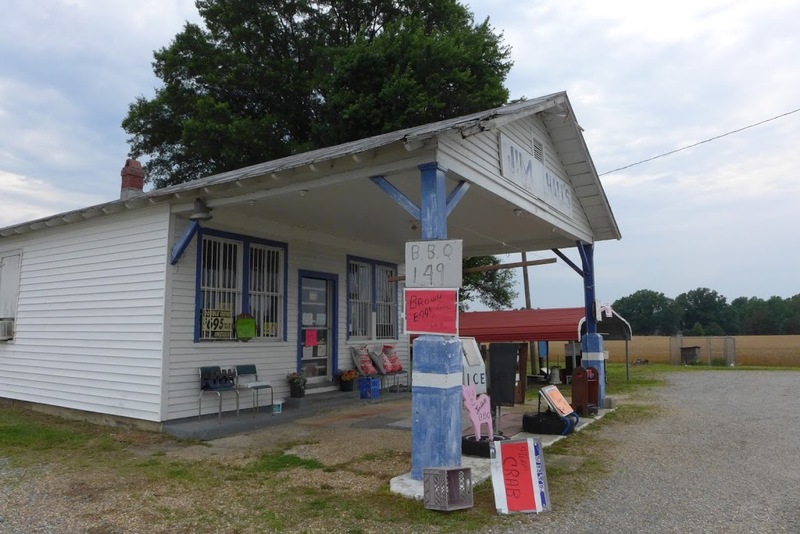 I stopped by the Lyons Pick-your-own farm on Munns road near Creedmoor and wandered into the fields of blueberry bushes at the back of the farm, waving back at the Mexican farm hands in floppy straw hats picking vegetables in the rows. There are few places like this around down here – many of the farms surrounding this area are dormant tobacco farms, one or two raising horses or hay. The area is flowering meadows and old “bacca barns” interspersed with new house developments. The population of the R-D area has been growing rapidly the last decade or so. 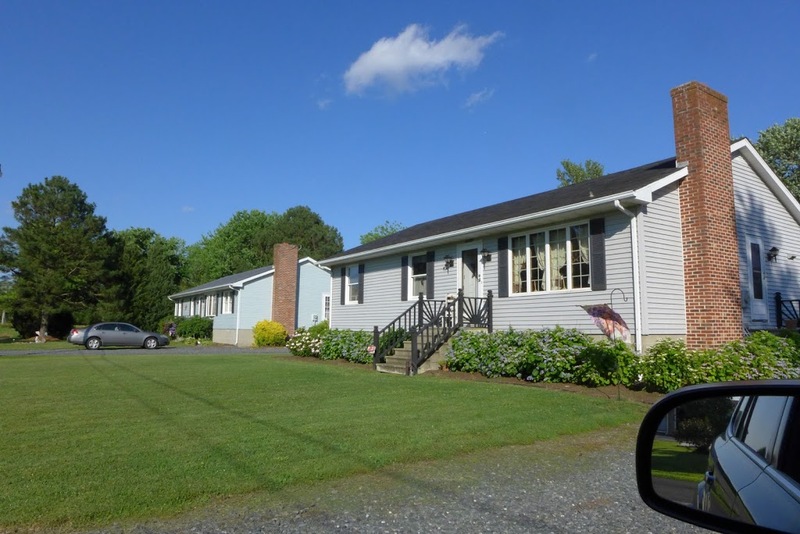 All around farm acreage is for sale. Kathy and I spent Saturday morning working on ancestor research, reconciling some of the old photographs I have with the names she has in the family chart. 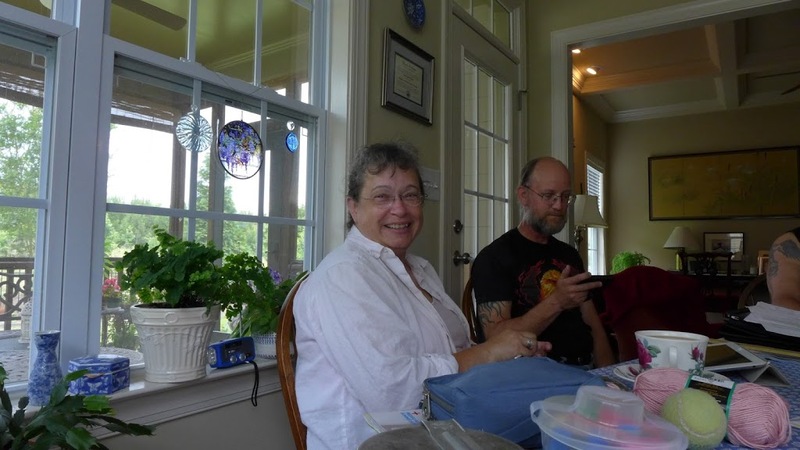 Then I left for the other side of town so to speak – Fuquay-Varina, where my cousin (my Dad’s niece) lives, and a whole other family tree is rooted. 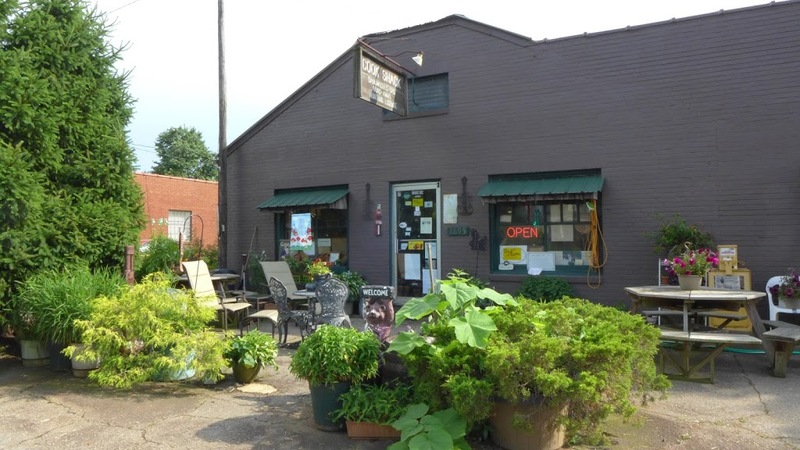 We made a field trip a few turns from the house to Cedar Creek Gallery – a home to several artists working in pottery, glassblowing, textiles, wood, and jewelry for 30 years. The grounds are quiet and lovely, full of gardens and converted ‘bacca barns, and we were able to watch one of the glassblowers in residence there while he worked on a vase. 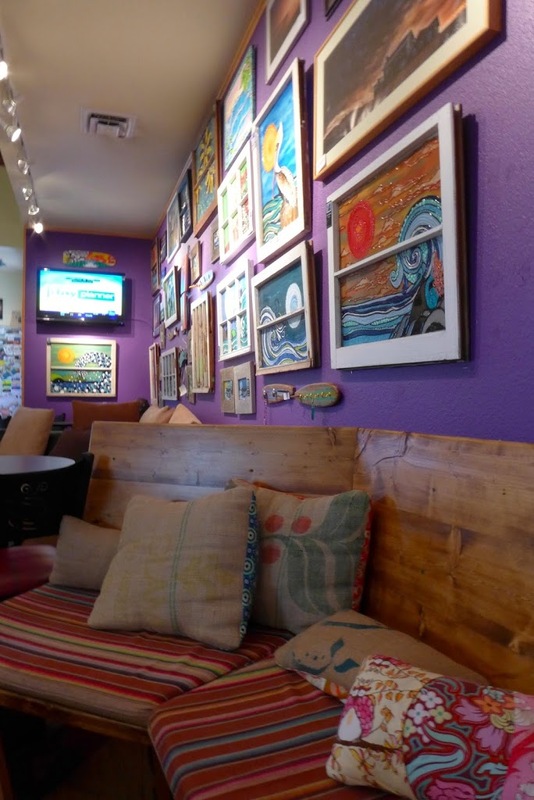 Much of the work for sale in the gallery/shop is from artists in North Carolina, but they also represent similar artists from throughout the country. There were many fine things and we found a mug that’s serving as my camp cup from here on. 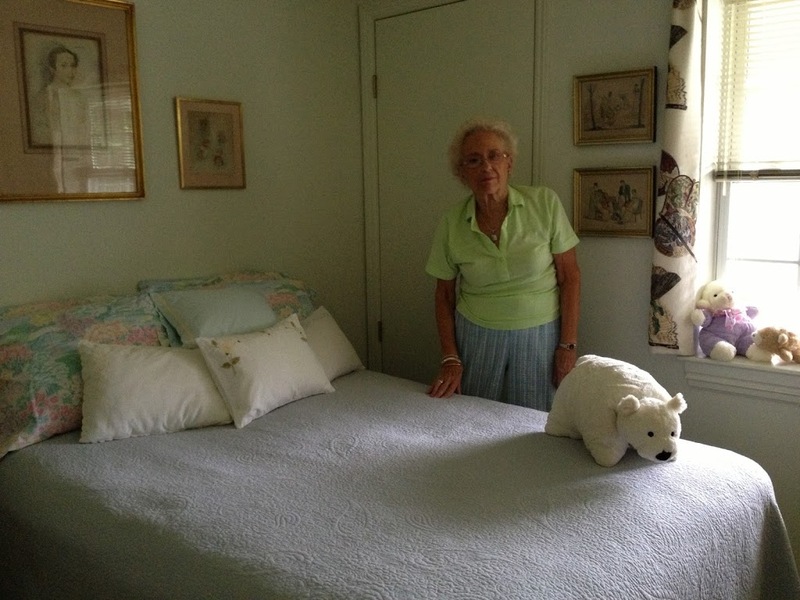 The family “Princess Bed.” Cousin’s house, Fuquay-Varina, North Carolina. 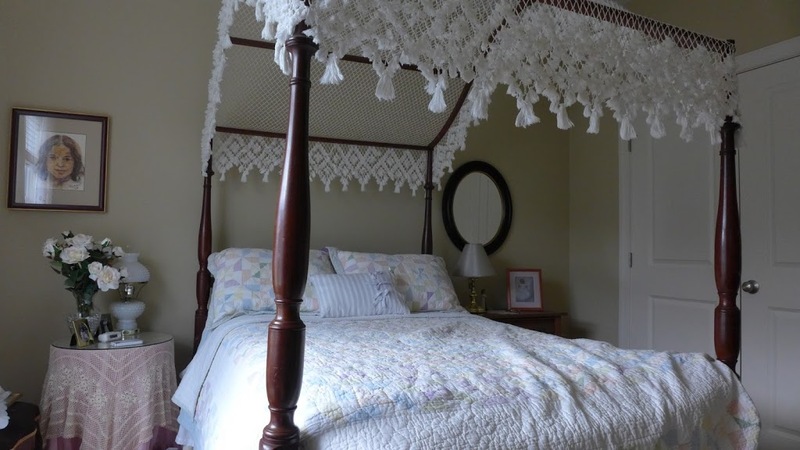 June 24, 2013: I’ve awoken from a 2-and-a-half hour nap at 7:30pm in the princess bed at my cousin’s house in Fuquay-Varina, North Carolina. 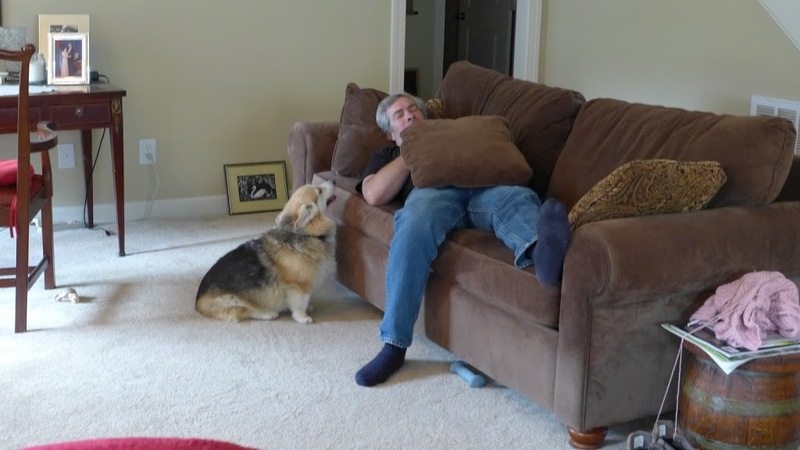 Something has me under the weather, when we came back from a grocery trip I came upstairs and fell asleep immediately. I have been in NC for a week and had planned to leave today for Dante, VA, but decided to wait, I was so punky. The constant movement has been hard to get used to. I’m discovering a near-constant irritation that seems to arise from the days of movement, groundlessness, and the natural claustrophobia of spending a lot of time visiting people I know. I’m used to being alone in the mornings, but haven’t found a way to carve out time for myself to be still before the days events, people, or itineraries get rolling. I’m craving quiet and an environment where I can rise and practice, exercise, contemplate, comfortably and undisturbed. My attempts to do this in the last week or so have been semi-successful a couple of times, but have not provided the space for solace and perspective that I expected to be the nature of my days. Hence I haven’t been able to write anything about this past week – my mind is frozen with discursive thoughts and fatigue. I don’t know what to do about this but to keep trying to make that space. Fuquay and Varina were two small old NC towns, now united with a group of chain restaurants and stores as the glue. Each has a tiny downtown that has been more or less preserved, and Raleigh’s suburban spread has occurred around them like water around two rocks. My cousin Sarah (Sal to me, and I am Sue to them) and her husband Bob have lived here for five years, and had another 15 in nearby Holly Springs. 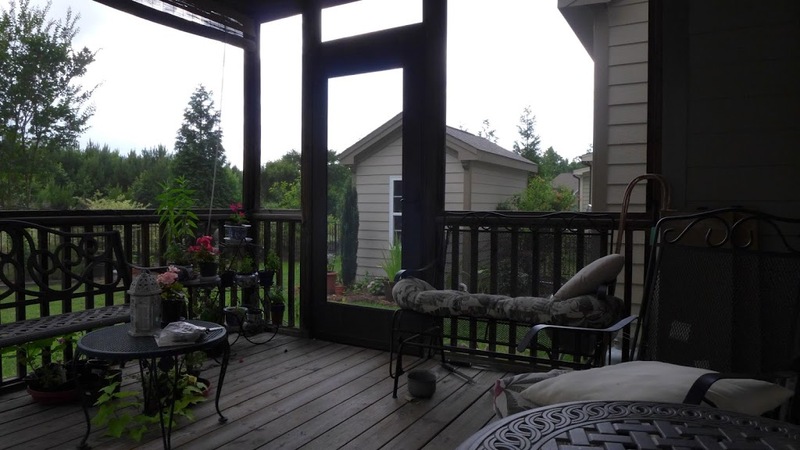 Their house is comfortable with an open-fenced screen porch that allows you to feel you are outside but without the bug population. My room is furnished with old furniture that has been in my father’s family for generations, and it smells of old wood and familiarity. After retiring from a Marine career that took them to Hawaii, San Francisco, and other places, Bob has had a good run in a civilian computer science job nearby. 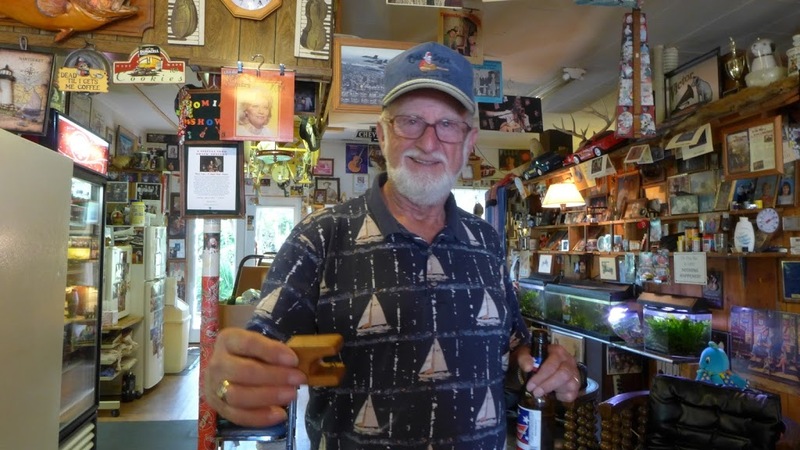 Sal has volunteered at local museums and societies and worked for American Airlines for many years. Their kids and their kid’s families are close by, and my Aunt comes down to visit a couple of times a year. Sal, her sister Mar, and I grew up together more or less with only a few years between us, I the youngest. Being without siblings of my own at home, going to their place a few times a year where I could romp in the country around their house with them and hear stories of my ancestor’s escapades was a great joy. 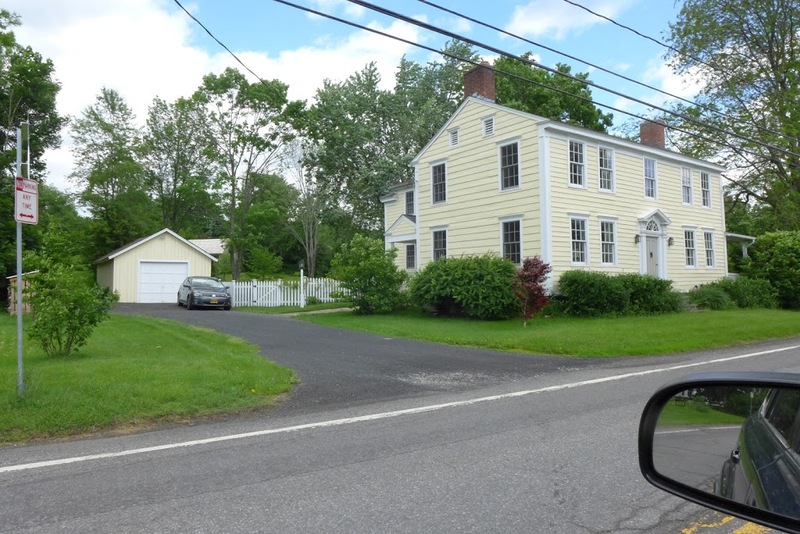 That house was the Dowlin Forge home in the Dowlin part of my family for many generations. I wrote about it here. Bob’s early manifestation as a crisp Marine has shifted in recent years to avid Harley man. He and Sal make regular long-distance trips and they have a group of close friends they ride with. Bob brought a few of these fellows by on Saturday, dodging rainstorms on their way home from an event to the south. I’d been hearing about Buck and Capp for years from my Aunt who has met them several times on her trips down here and from Sarah when talking about their gardening skills…she has a new “water feature” in her garden thanks to them. Bob was being ribbed for having told them “clear sailing” after checking the weather radar on his iPhone before they took off this morning – as it happened they got drenched by one of North Carolina’s passing thunderstorms, which appeared as a “small” green blob on the screen that apparently had been centered directly over them the entire time they were riding. 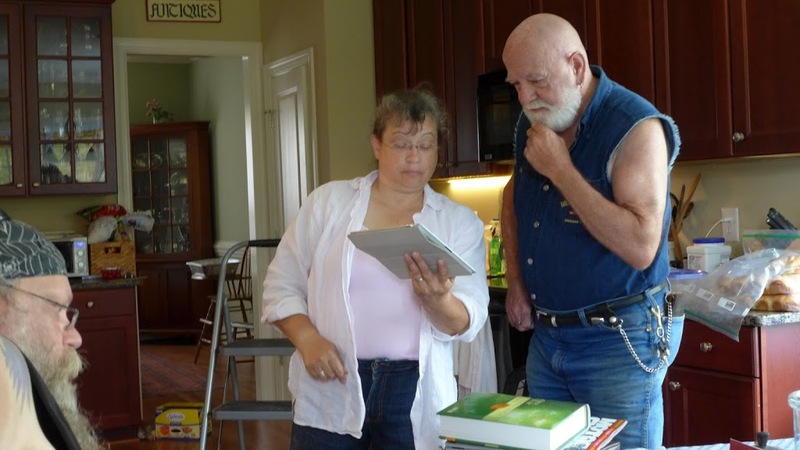 I left Monday after spending the morning updating ancestors on my father’s side with Sal, who is along with her mother, Aunt Liz, a thorough keeper of family records. 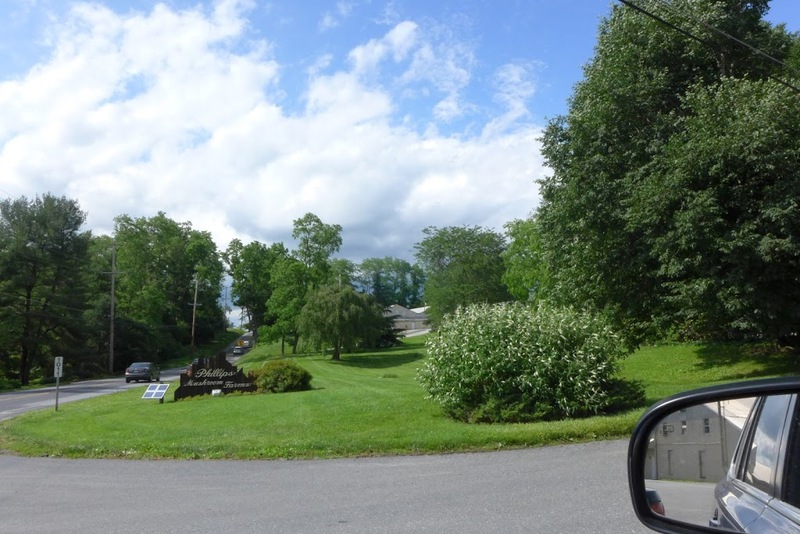 I was headed for the mountains, and Dante, Virginia, a coal town developed by my great grandfather Tyler in the early 1900’s when he was Vice President of the Clinchfield Coal Company. 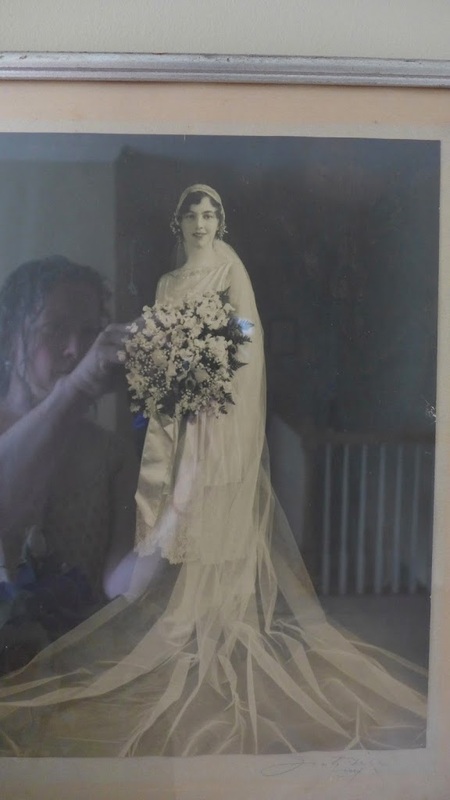 Grandmother Martha Hopkinson Tyler on her wedding day. June 30, 2013. Leaving the piedmont I took a long detour to NC route 901 through farm towns. 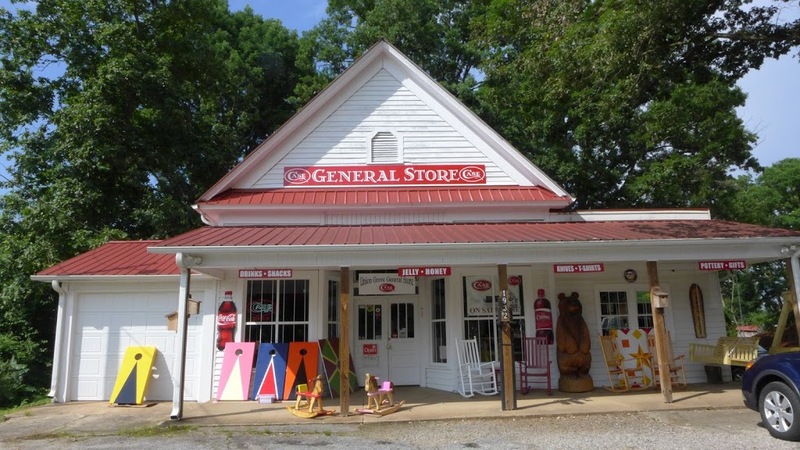 Coming upon Union Grove I spied a classic general store and stopped. 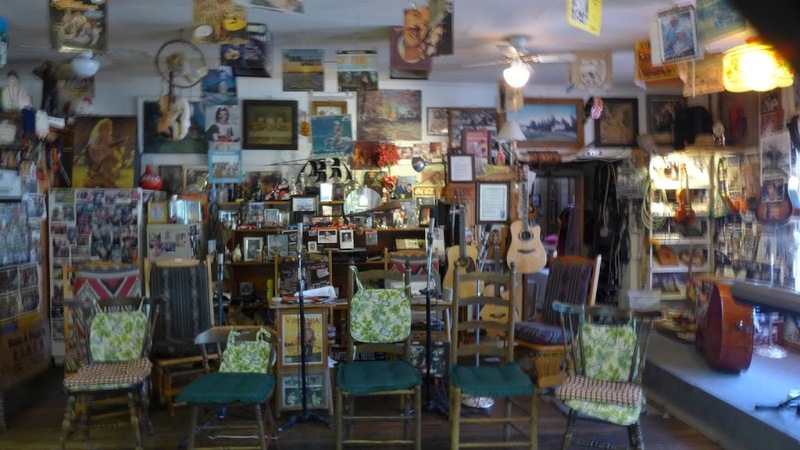 Josh Cockerham bought the abandoned store in 2007 and revived it as an old-fashioned and new-gear retail outfit, supplying local funky hand-made pottery and household furnishings as well as Case hunting knives and other variety useful to the rural person. 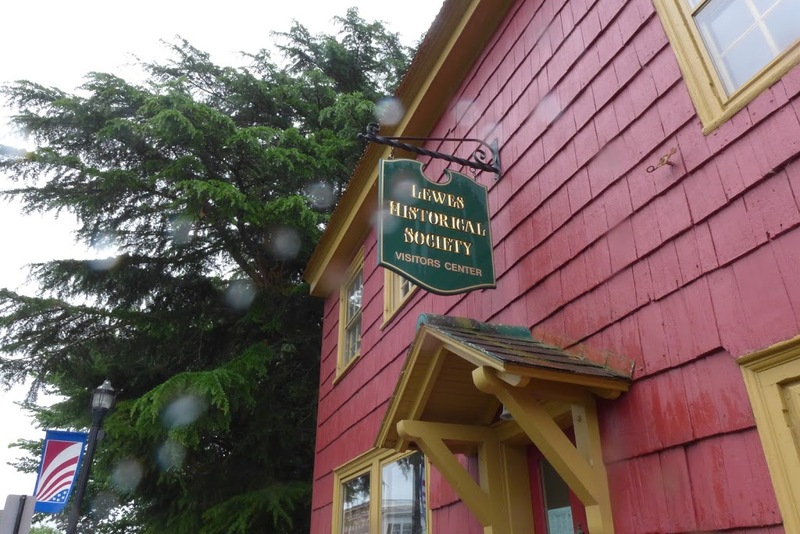 The building was originally across the street as the town schoolhouse at the turn of the last century, then was relocated and reappropriated as a general store with additions to provide a porch and living quarters. Josh confirmed that the “Cook Shack” I had passed across the road a few blocks was worth a stop – so I took Jewel Song over there to get a tea and see what was there. 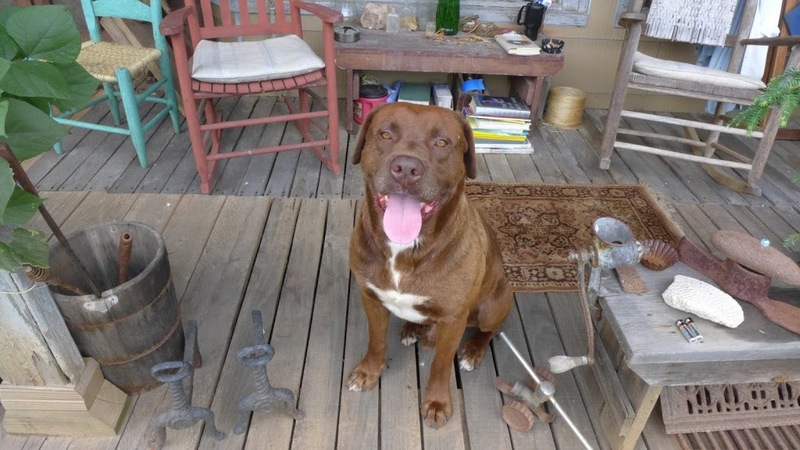 Jennings Merchants in Union Grove was closed, but this fellow was happy to show me around. I made my way to Boone, NC – one of the many places in the south and midwest named for the 19c pioneer. 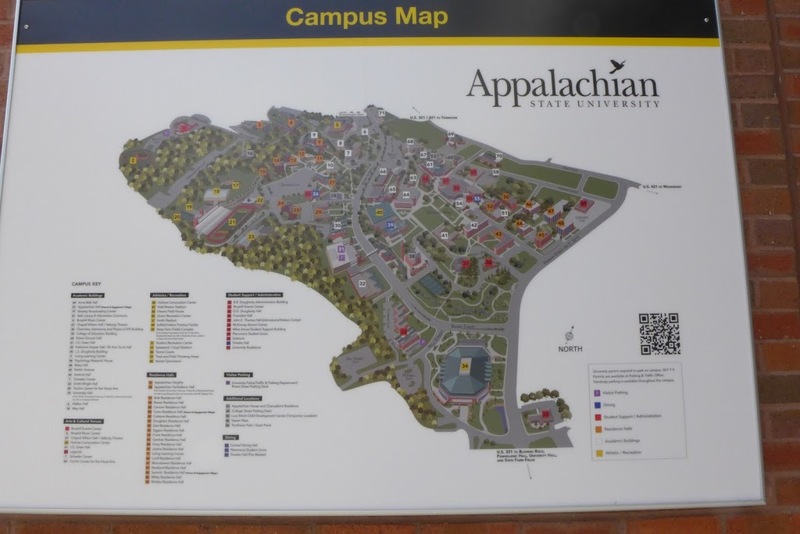 The Appalachian Trail passes by here, and it’s home to Appalachian State University, known as a top school for artists in the east. 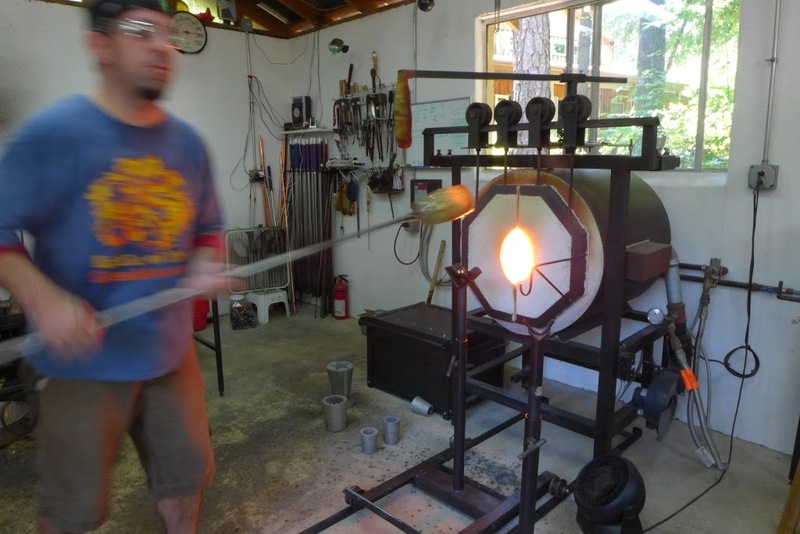 Appalachian State always has conjured an image of artists working in rusticity in the steep woods of the Blue Ridge mountains, miles from civilization. It could not have been more surprising – a modern, brick-laid campus of 16,000 in a thriving town of 32,000. The blend of college-town, old settler families, and AT through-hikers gives it a hippie vibe on a pedigreed stage. Steep green mountains surround on all sides and the town itself is multi-level and requires good legs to get around on foot. Locavore food & sustainability sentiments have infiltrated Wataug County, and the farm-to-table movement is evident in the restaurant menus and markets. 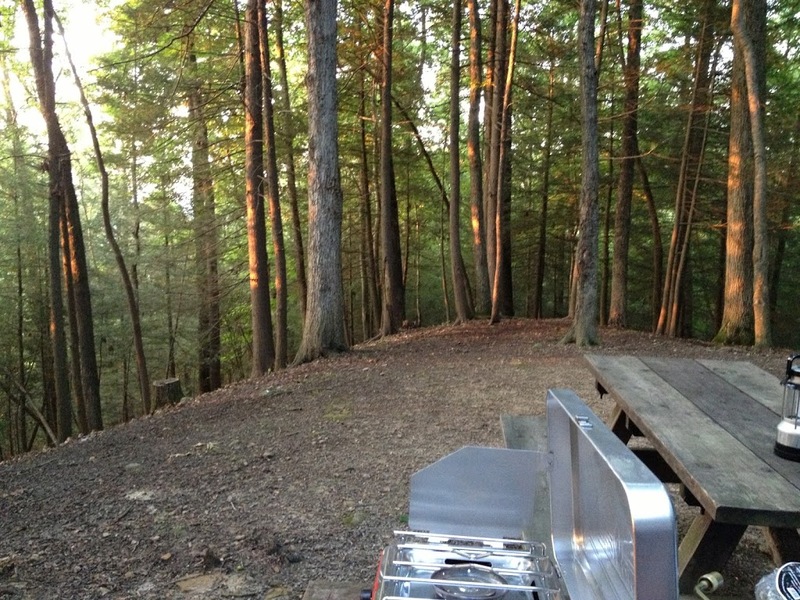 My campsite, Flintrock, was a last-minute find browsing from the parking lot of a church in Boone at 6:00pm. It turned out to be one of the most comfortable I found on my trip. I took a cabin for the night and reveled in having a porch and peace & quiet among the campers around me. A rushing creek runs through the middle of the grounds. 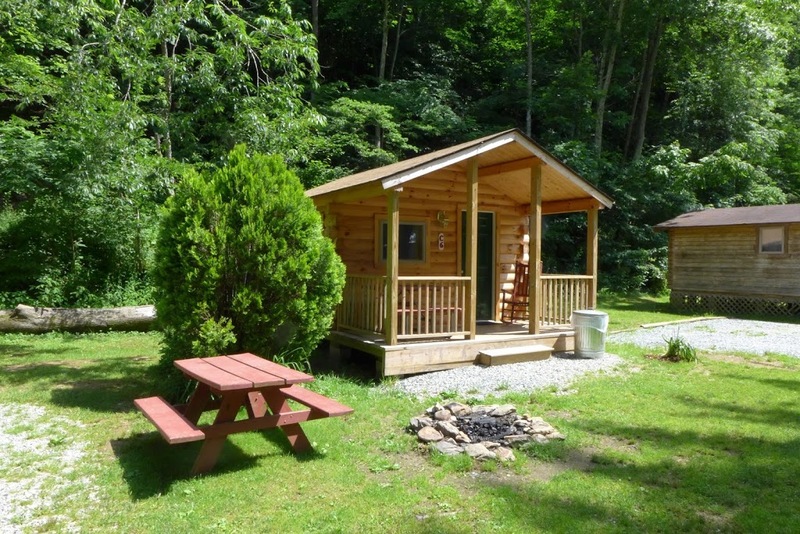 The sound of traffic on the road is closer than one might want but the manager is friendly and helpful and the cabins are clean and comfortable, and there is a neighborhoodly feel to the size of it. I could have lingered for days here, exploring the town and the oldest mountains, trails, and rivers in the Appalachian range, but this was Monday, Dante’s museum closed at 3:30 on Tuesday and did not re-open again until Thursday. 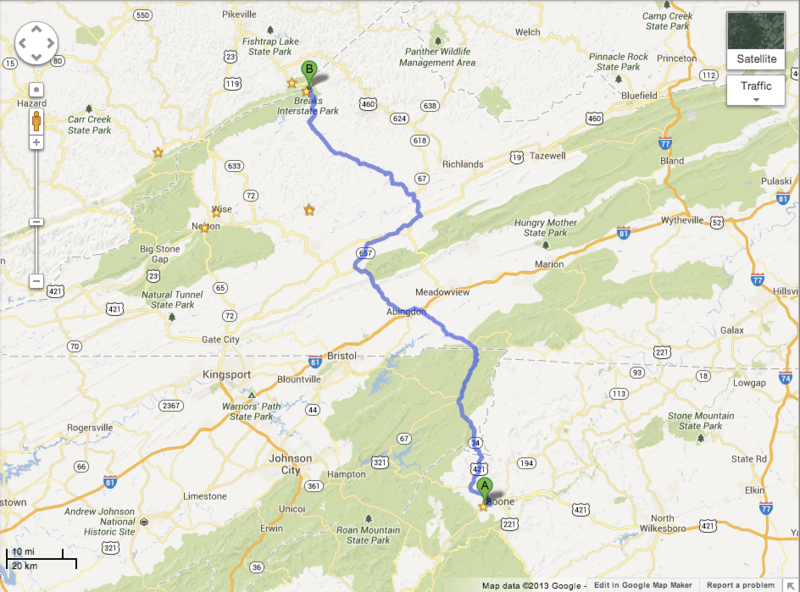 It was a few hours away, and another hour to my campsite in Breaks, VA. 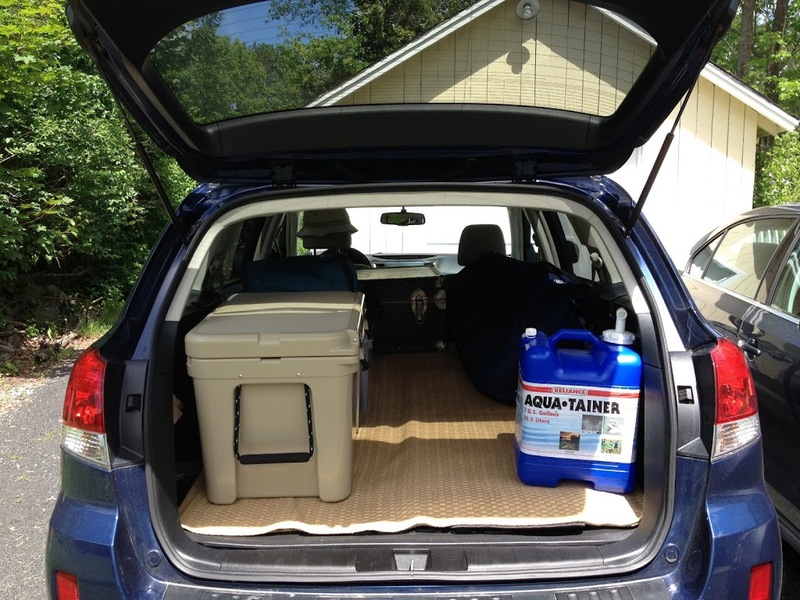 I stocked up on camp stuff and headed to the car…running behind as usual. I had a parking ticket for overstaying the 2-hour limit. Luckily, Boone has a system to deal with this quickly. I walked into the closest store, ticket in hand and approached the cashiers. Before I could even ask, they said “oh do you need us to validate that?” “that would be great – where do I need to take it?” “We take it for you.” Fantastic. Not just some scruffy clan whittling art tools by hand in the mountains. Bald Guy coffee – roast their own beans. I headed to Breaks directly rather than arrive in Dante and have to drive mountain roads in the dark. I would have to call the museum phone number to see if I could get an appointment on their closed day. 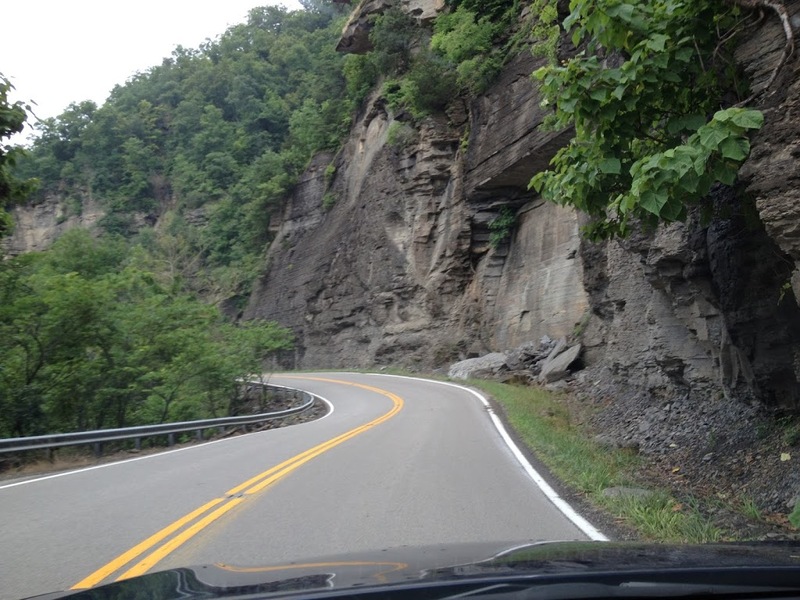 The drive through the mountains took me through a corner of Tennessee into far southwest Virginia – the “tail”. It was slow-going, the steering wheel see-sawing back and forth on the looping switchbacks for the better part of 2 hours on VA 80. At one point, going about 35 up a winding hill, two pickup trucks shot past me, mufflers screaming. The speed limit sign said 55, but Jewel Song’s cargo was bouncing around in back already and her driver was trying to get used to the manual shifting options. 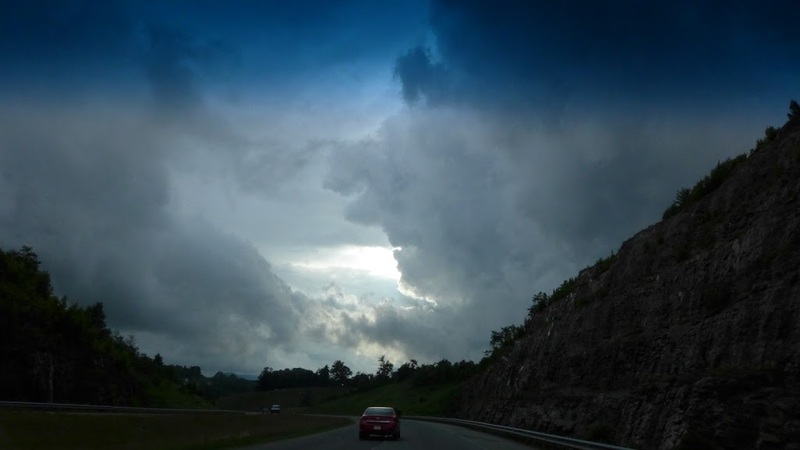 After the pickup trucks, I stopped at the top of the pass – VA Rte 80. 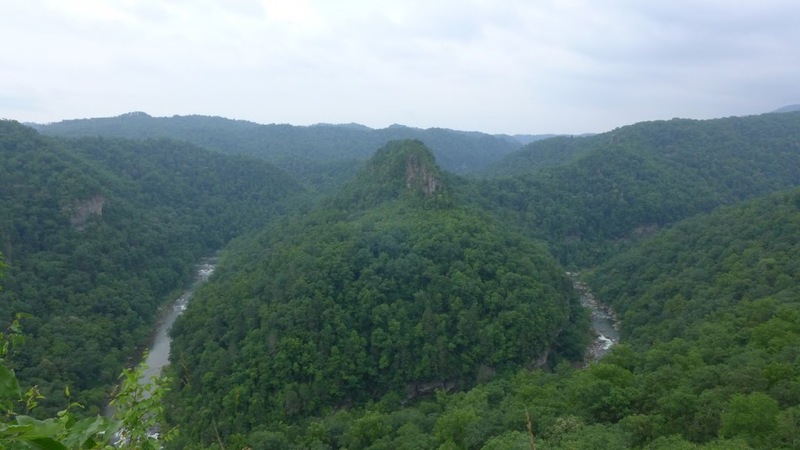 At Breaks Interstate Park, on the Virginia-Kentucky border, the young park ranger warbled about the distinction of being “interstate” (“only one of two in the whole country”) and I barely recognized we were both speaking English. The rain had been coming off and on all day but the sun came out for the evening. I was at the end of an empty loop save for one other site with a couple and their child, a flat ridge with steep slopes on three sides, and plenty of mosquitos. I lit the bug sticks and attempted for the 2nd time to set up the Kelty tailgate tent so I could sleep comfortably with Jewel Song’s hatch open. It was missing instructions, so after 20 minutes I decided not to waste the last light fussing with it and instead made dinner in the orange sun coming through the trees. Then I covered Jewel Song with mosquito netting and rolled out the bed mat and slept, half listening for bears. The next morning, it began to rain while I was in the shower. Early enough that most people were still asleep. I had no phone reception and the campground did not have wi-fi. 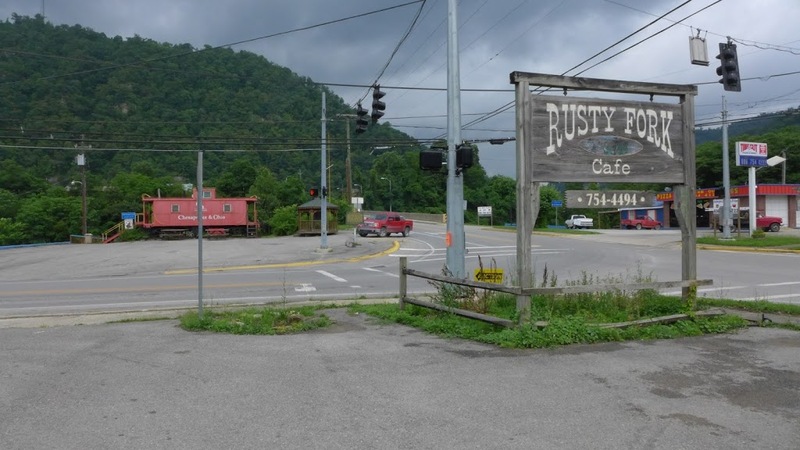 I asked the ranger about coffee places and he had pointed me to a place about 2 miles down 80 into Kentucky, Elkhorn City – a place called the Rusty Fork. Who could resist? 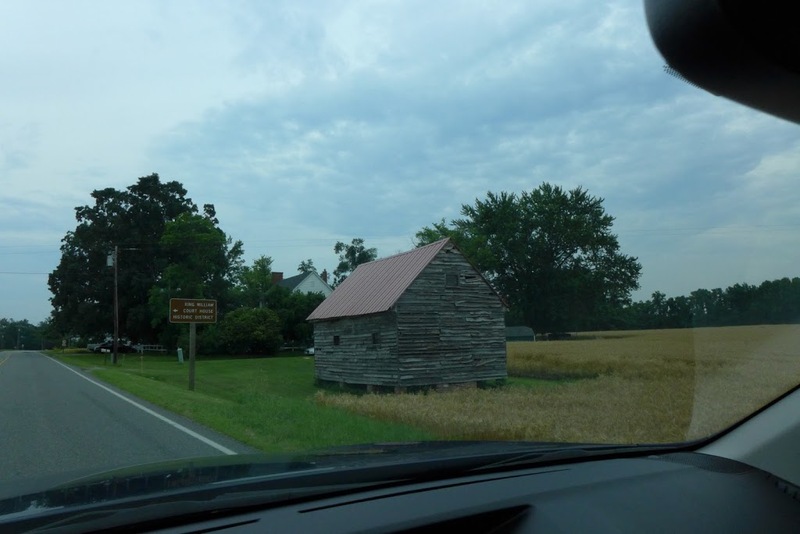 It was more like 10 miles, going down slowly behind coal haulers and past the grave of the “Unknown Confederate Soldier”, but the ground leveled out and an intersection with a traffic light appeared with a long wood building on one corner. All around, the only vehicles besides the coal-haulers are pickup trucks. 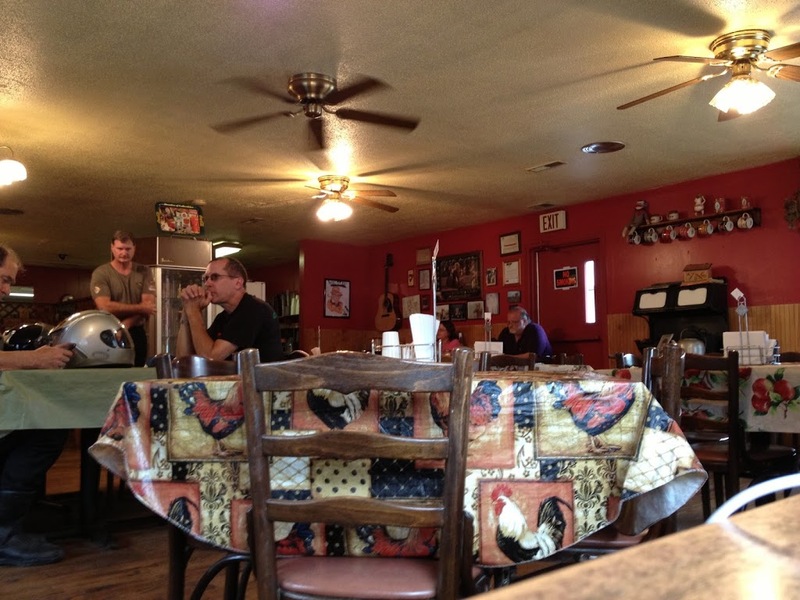 Not only did the Rusty Fork have coffee, there was a guy sitting at a table with a laptop. “Do they have wi-fi?” I asked him. “yep.” He smiled through a moustache. I took up a table by the curtained window with my laptop and watched the rain. 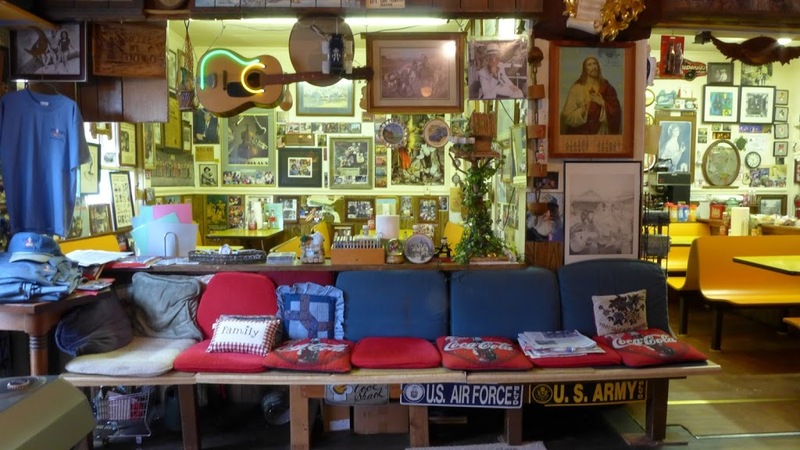 The inside is painted red and decorated with depression-era kitchen pantry and bluegrass music stars photographs, including a signed one of Elvis. 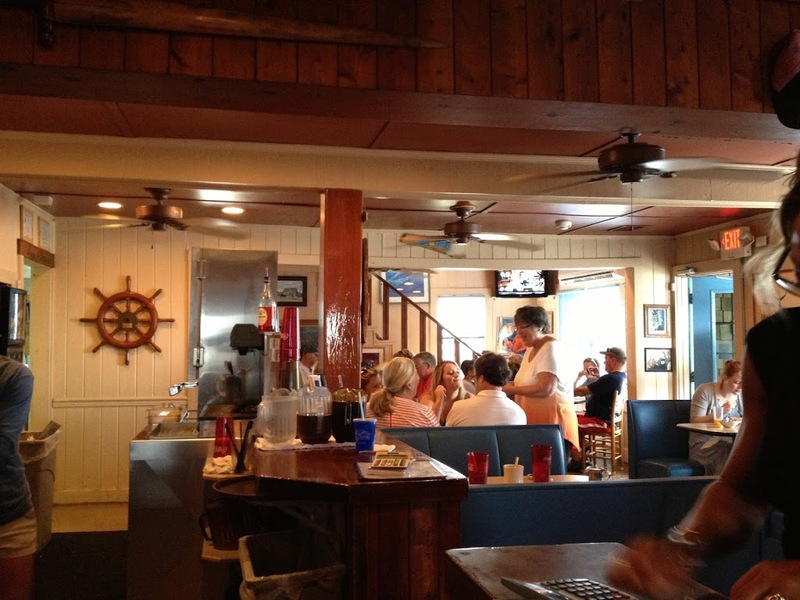 The waitress was blond and tan in a pink shirt, cheerful disposition. Took my order and kept checking on my coffee as I spent 3 hours catching up on uploads and a blog entry. I had called the museum contact numbers as soon as I had gotten phone reception, but had not received a call back. I left the restaurant at 2:00 for the 90 minute drive through the mountains to Dante, hoping I would be able to find someone in the town to connect with.